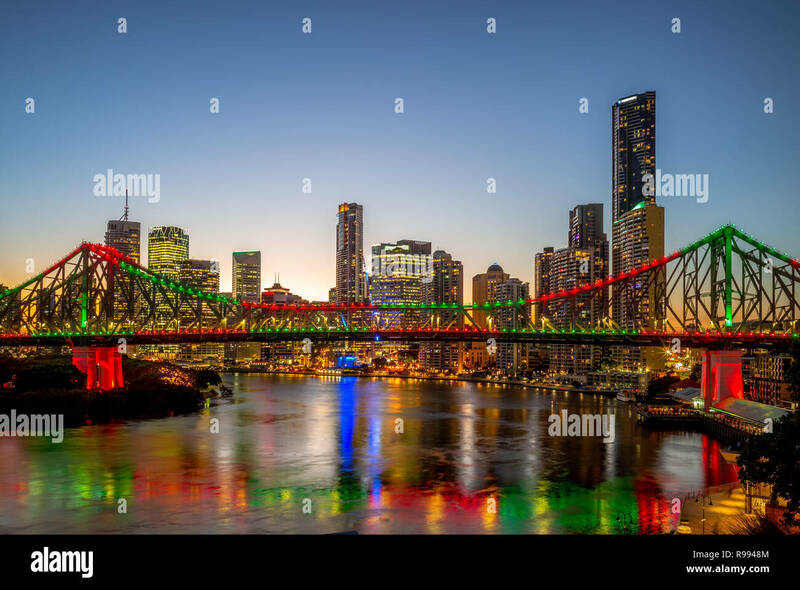 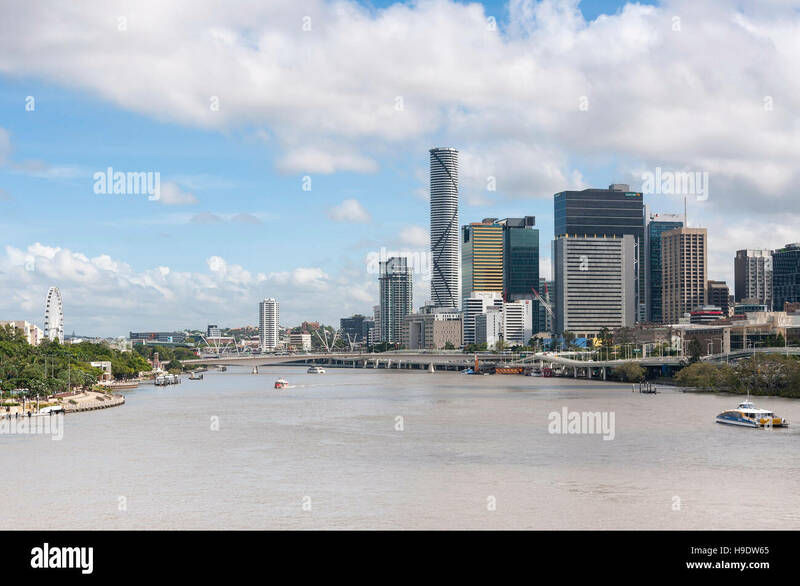 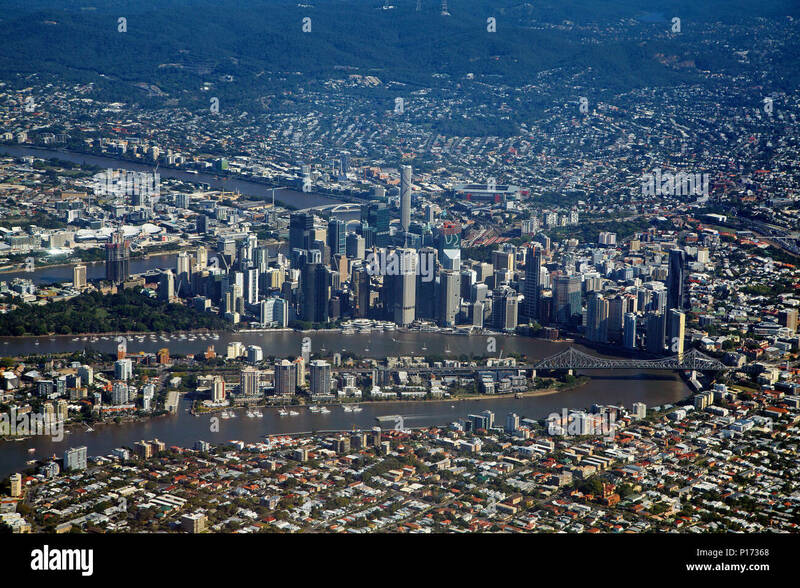 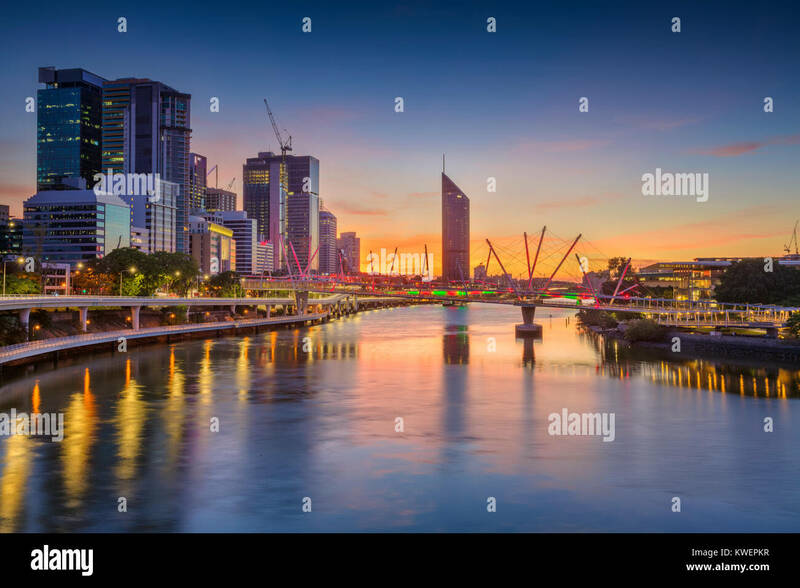 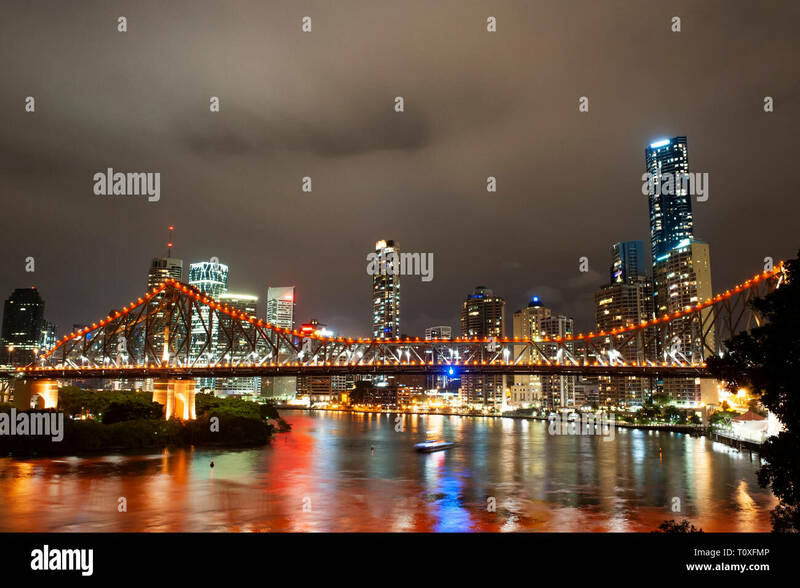 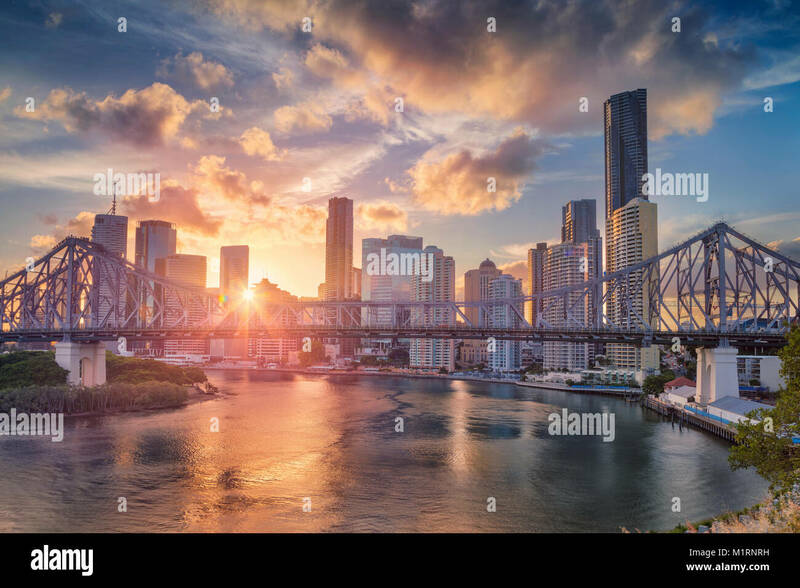 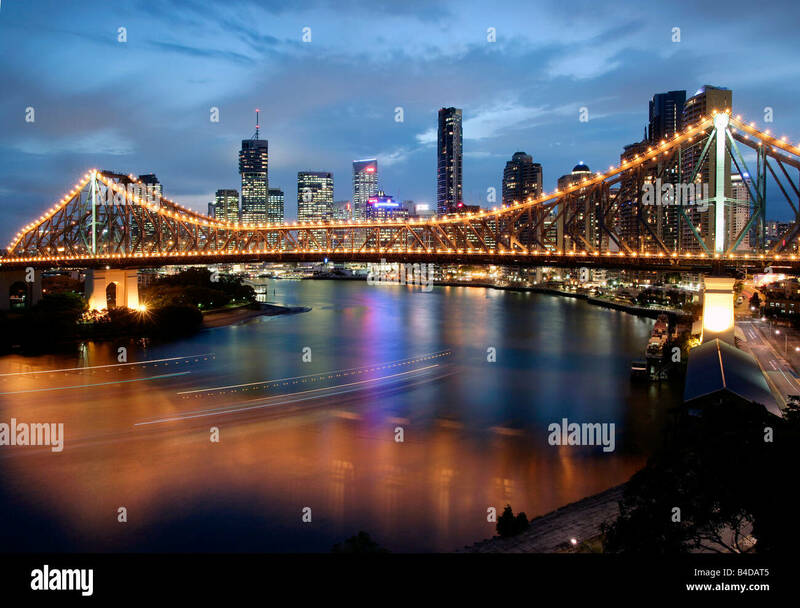 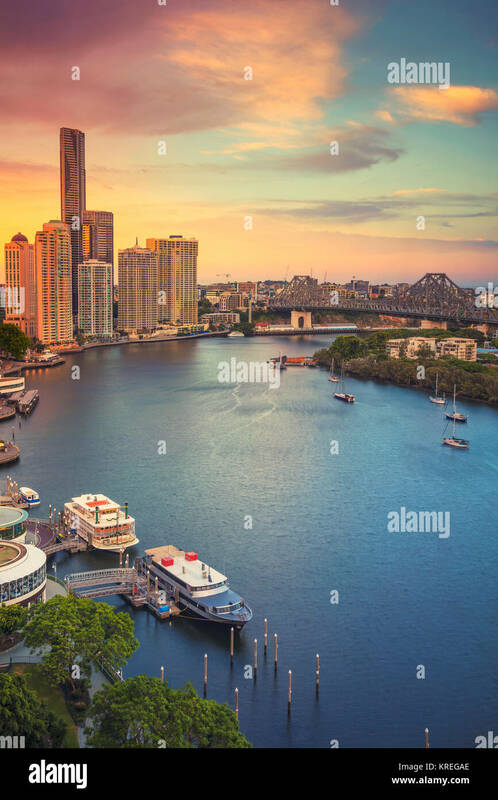 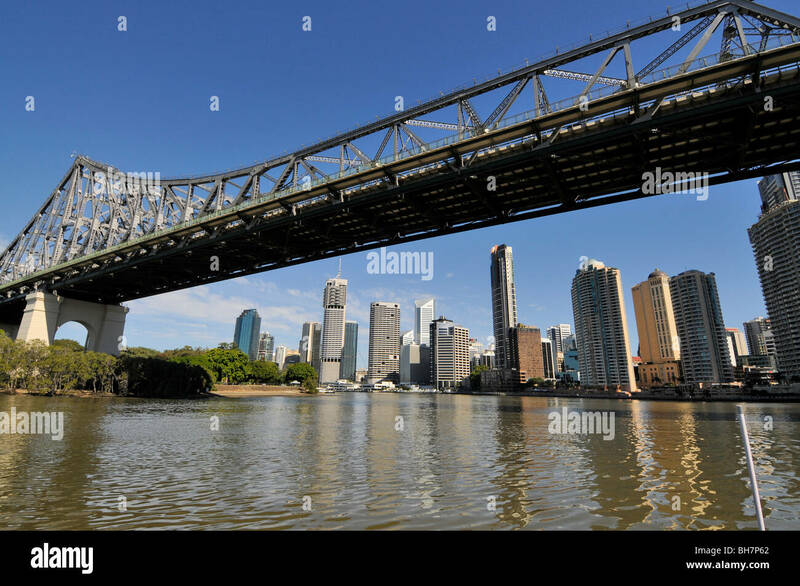 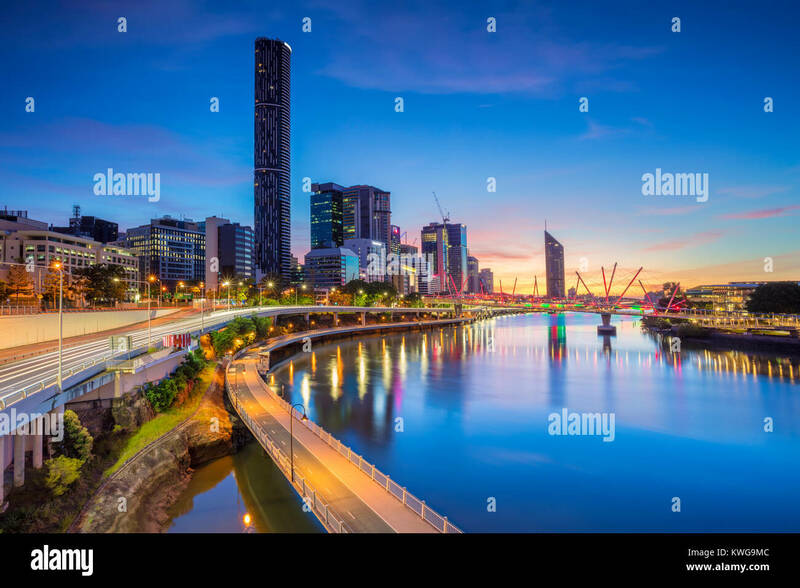 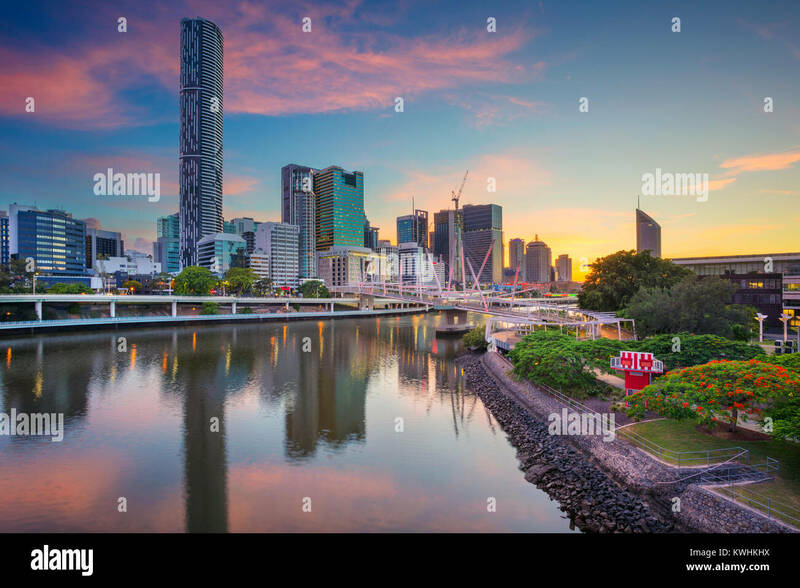 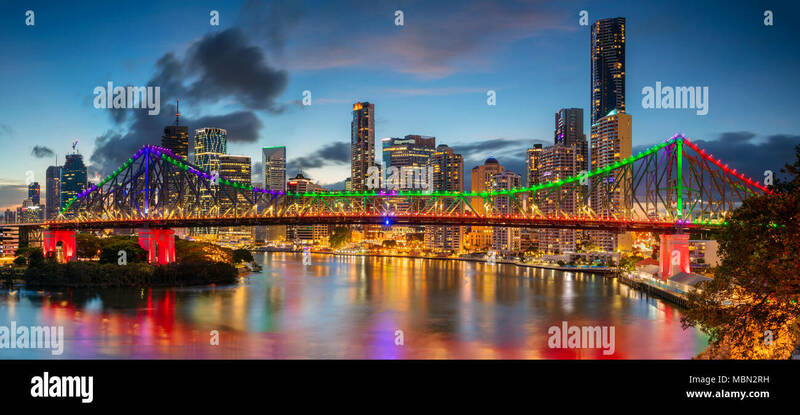 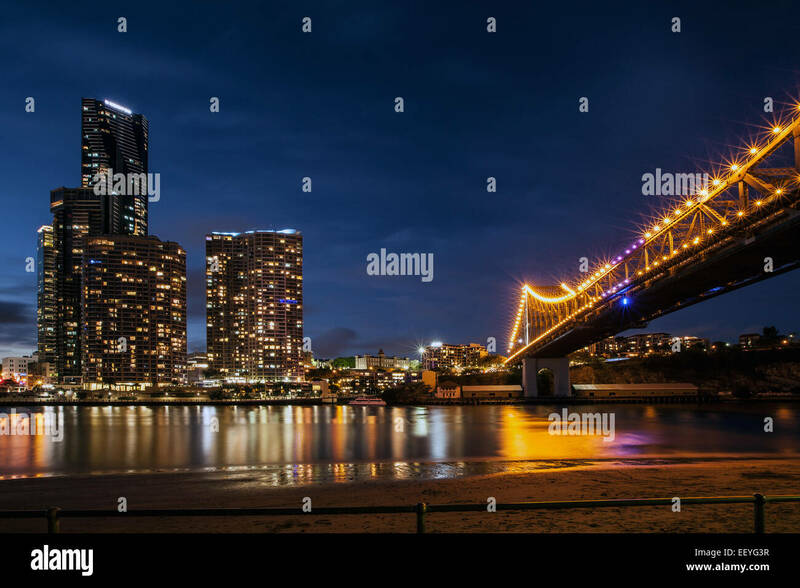 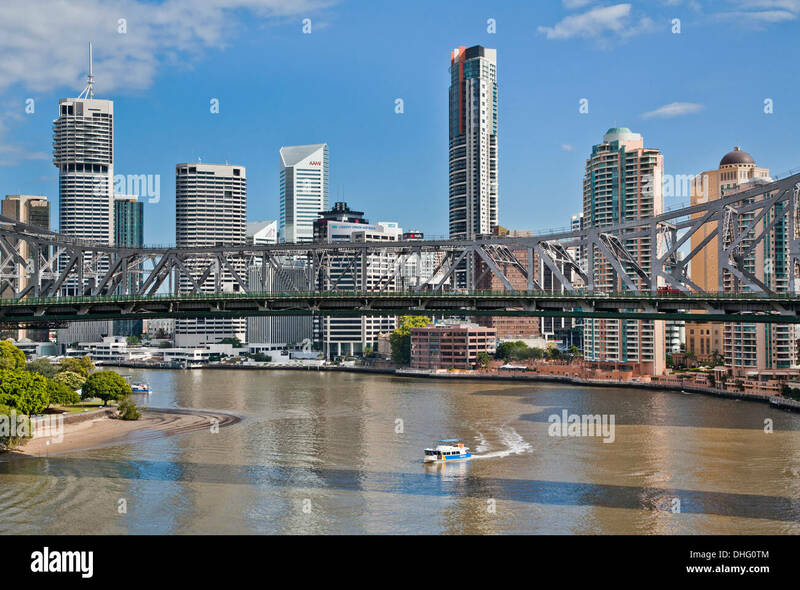 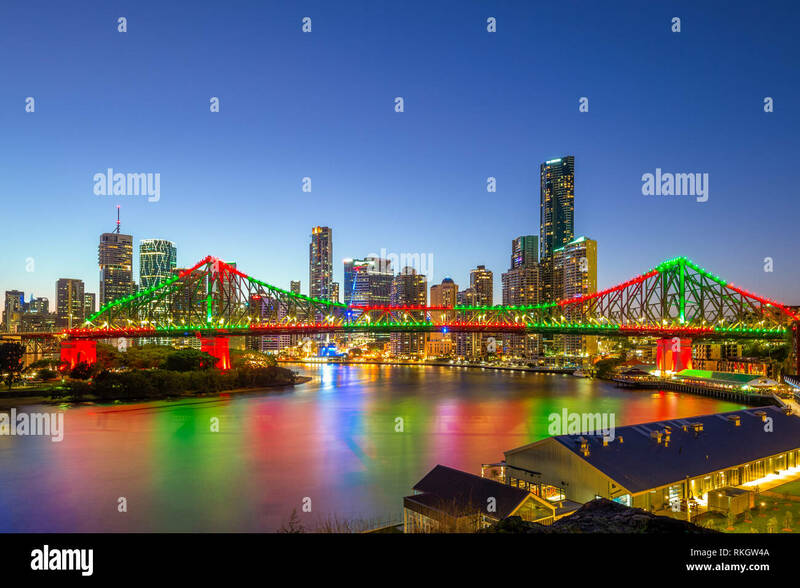 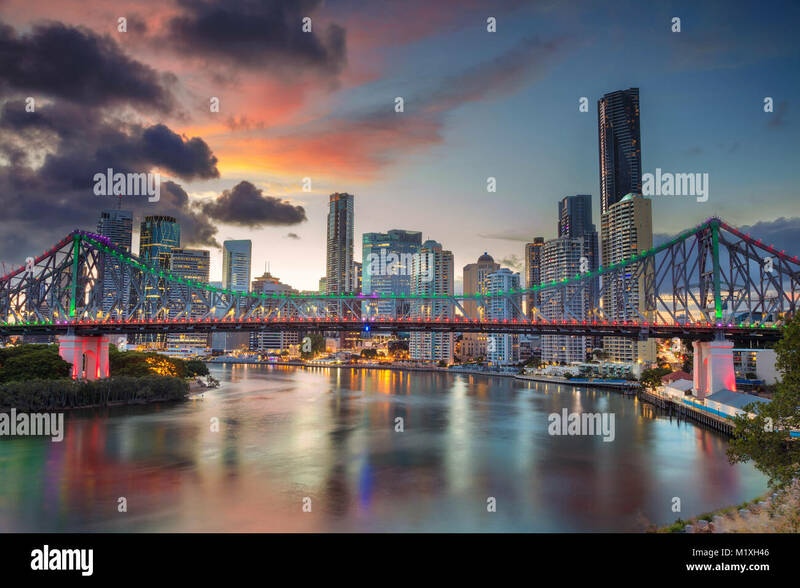 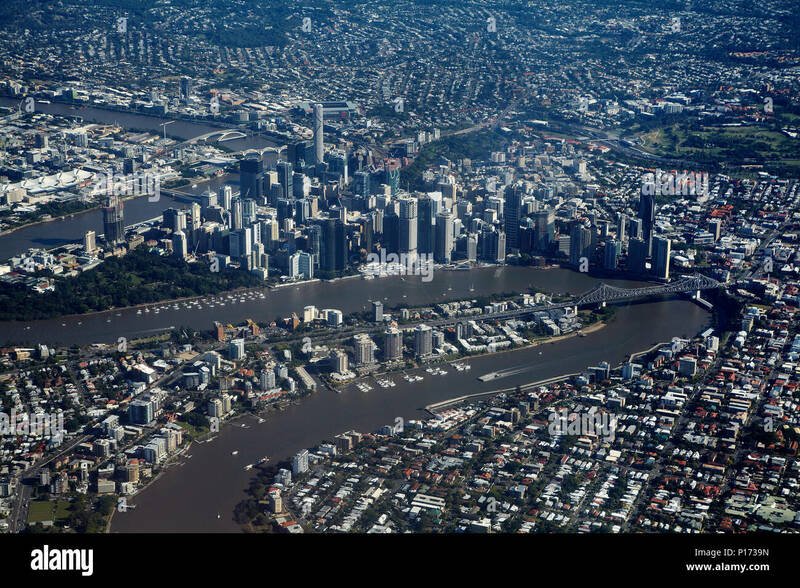 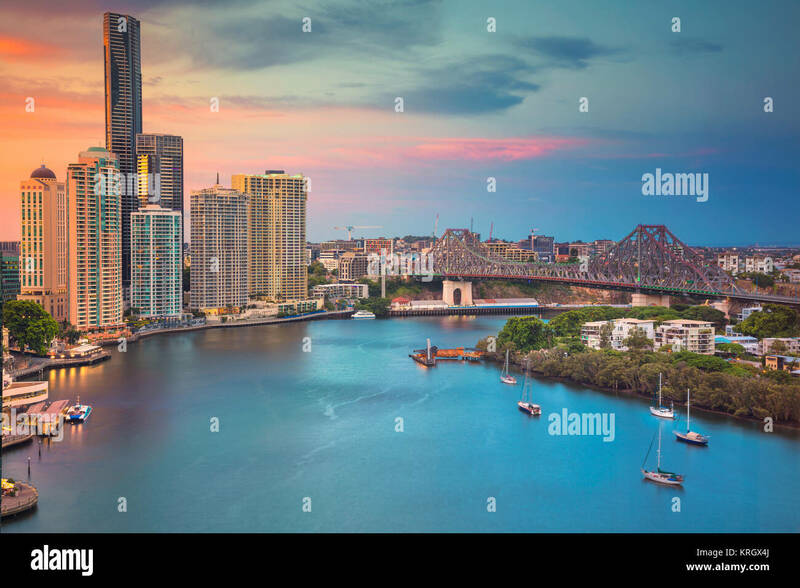 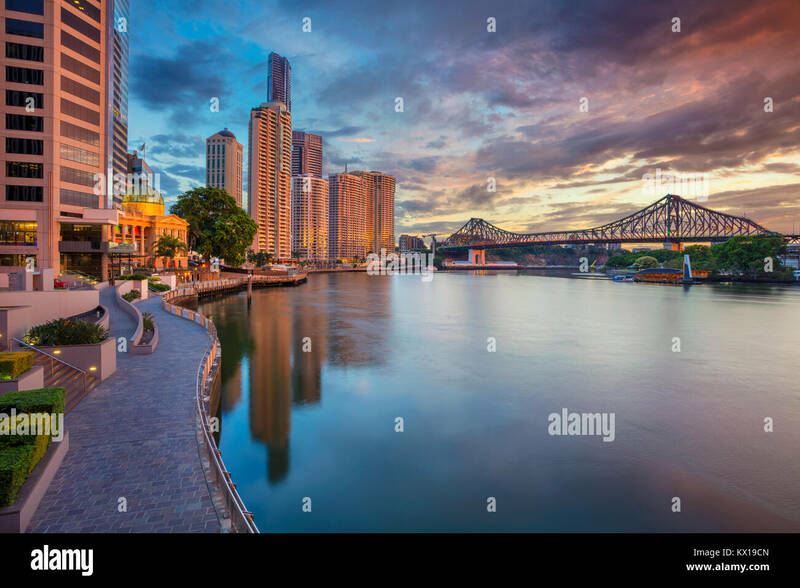 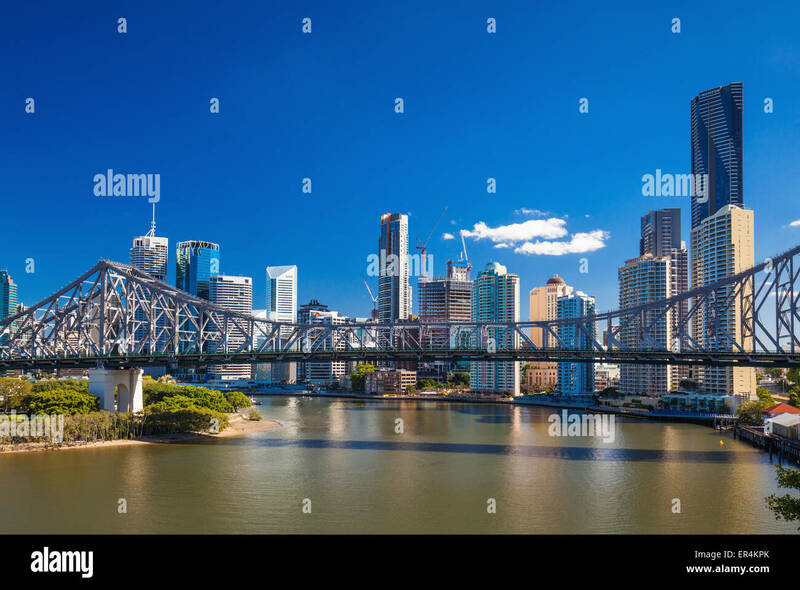 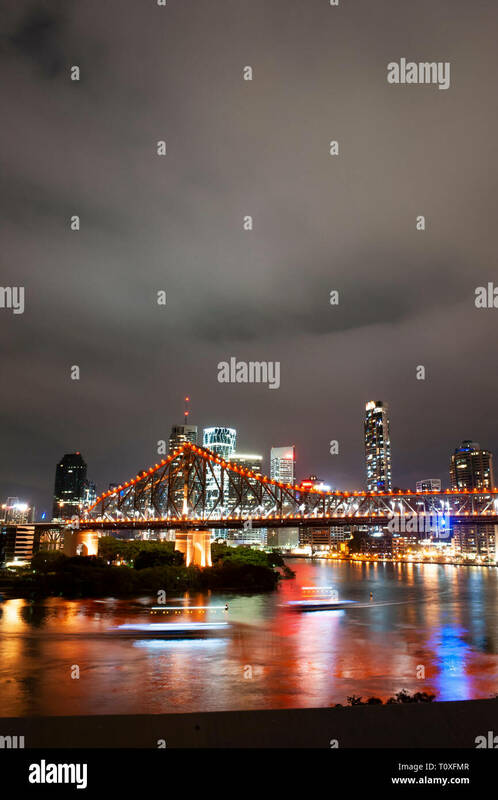 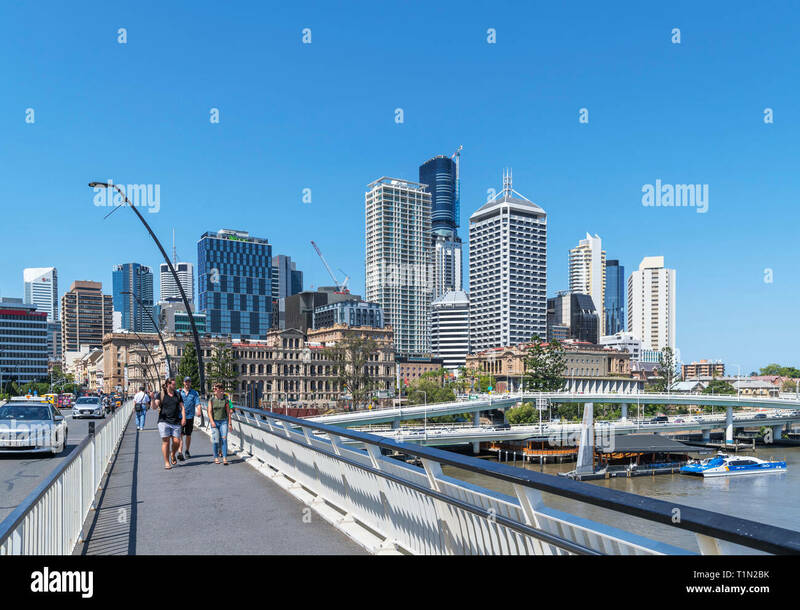 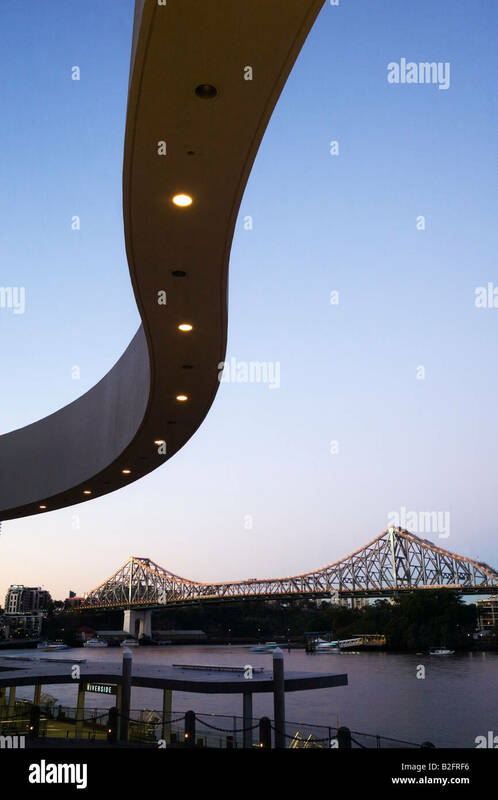 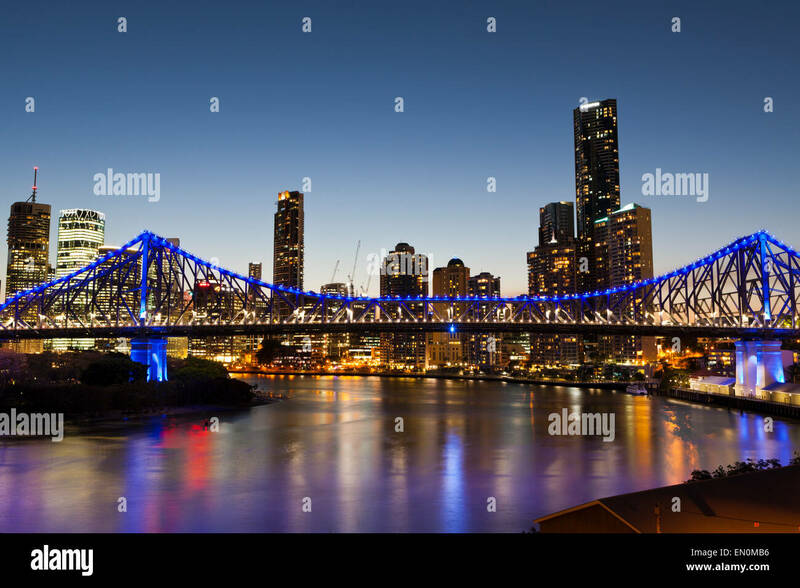 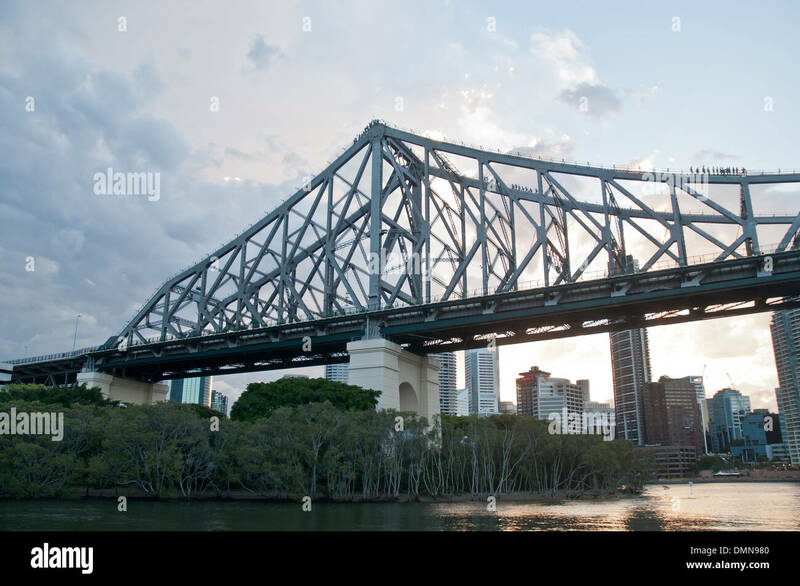 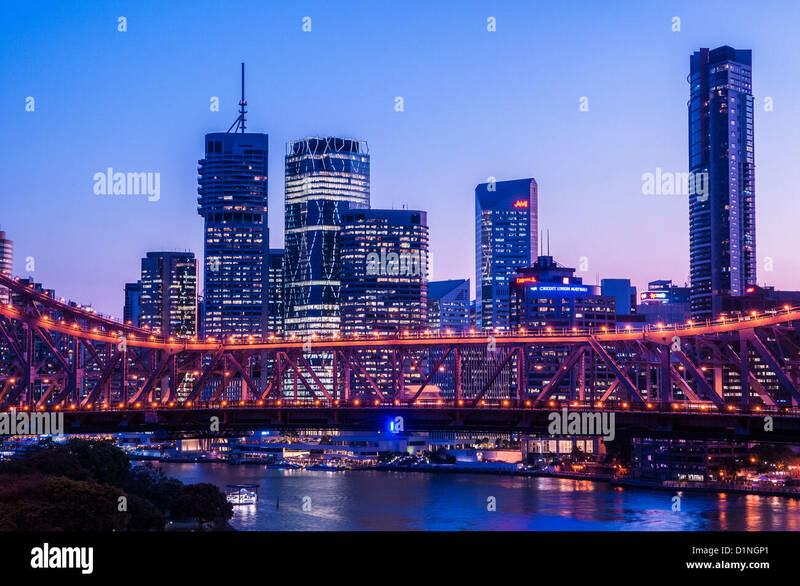 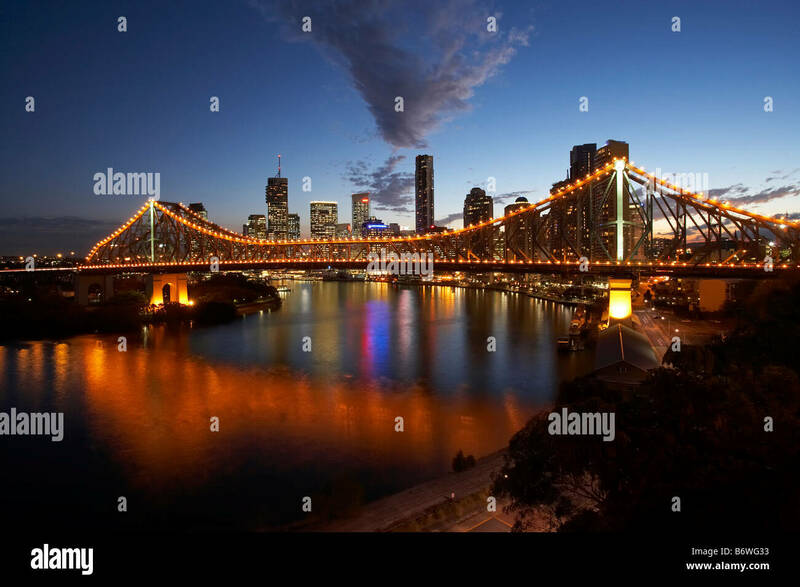 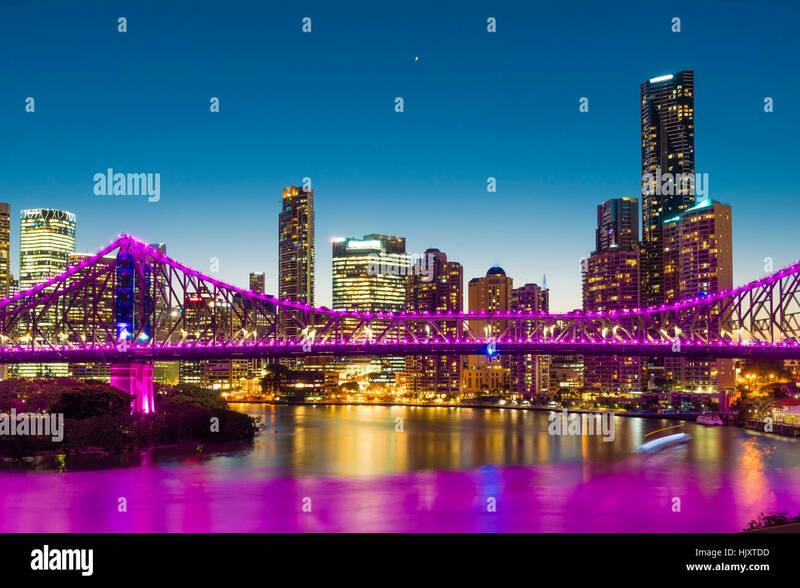 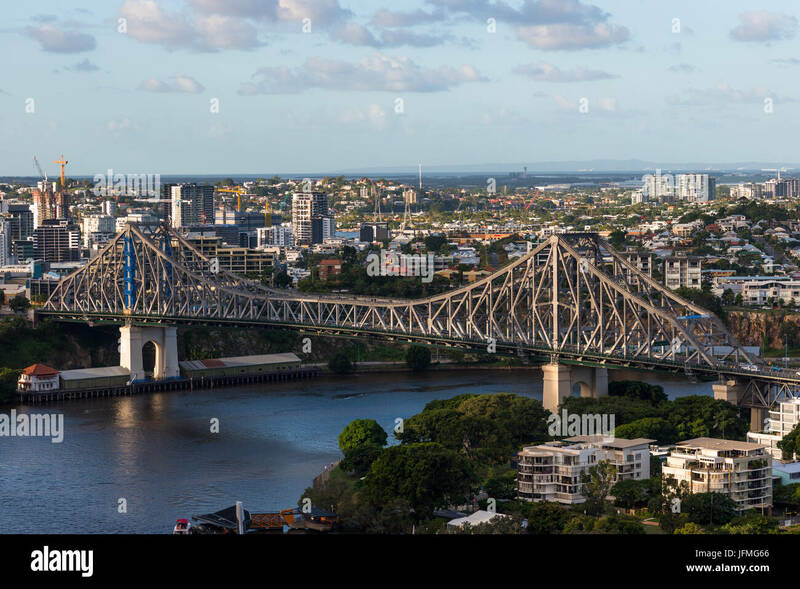 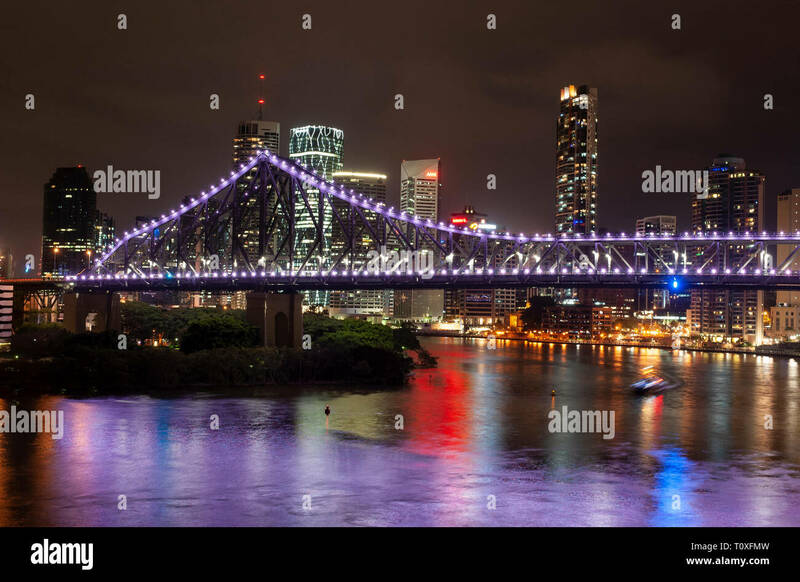 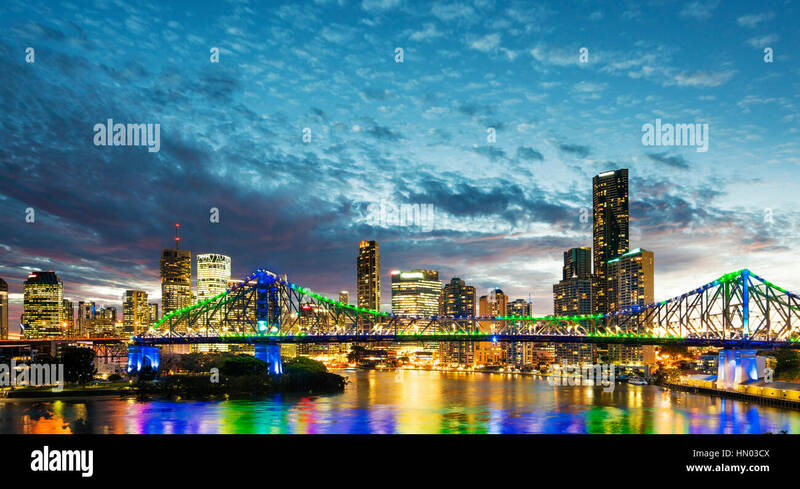 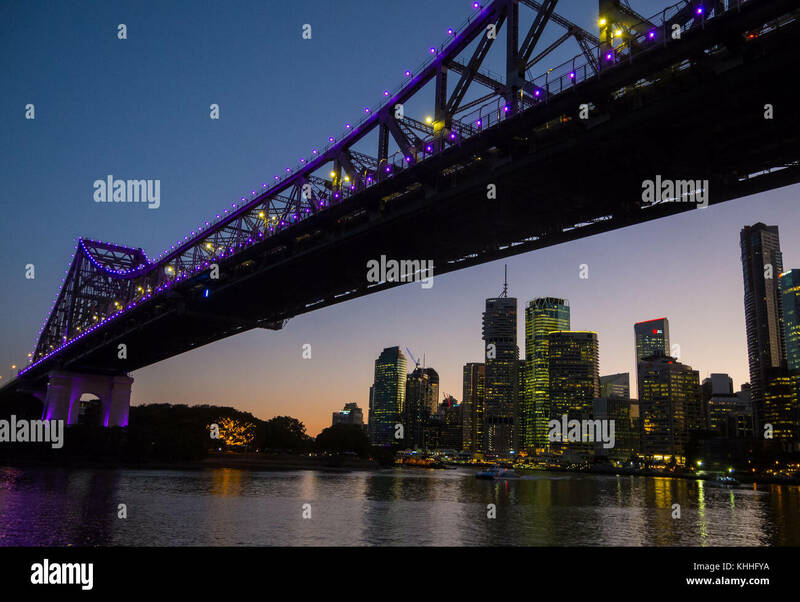 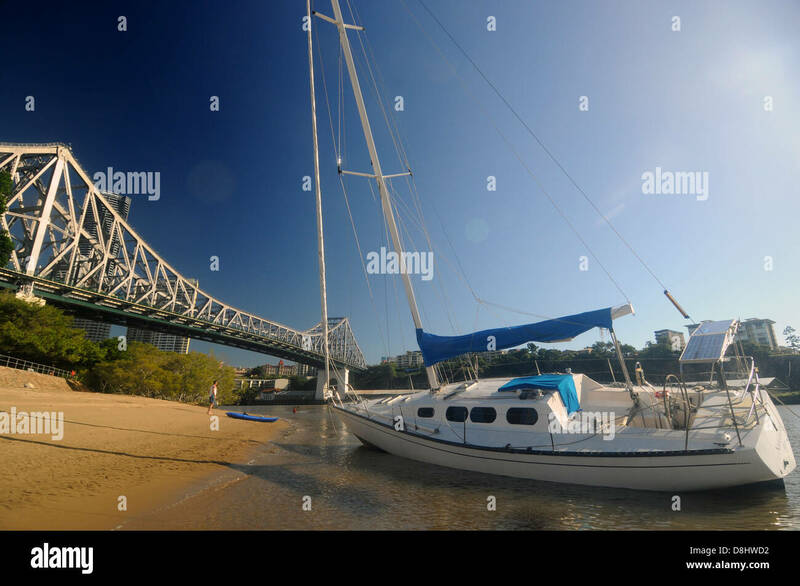 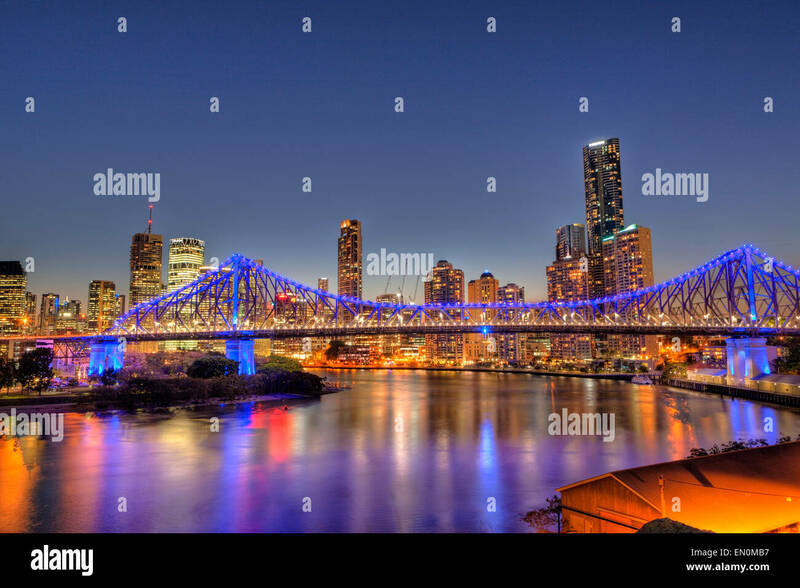 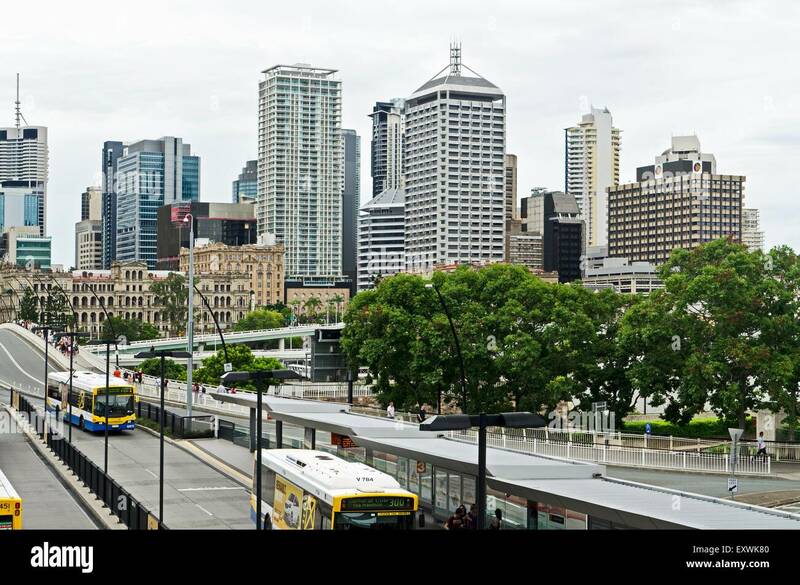 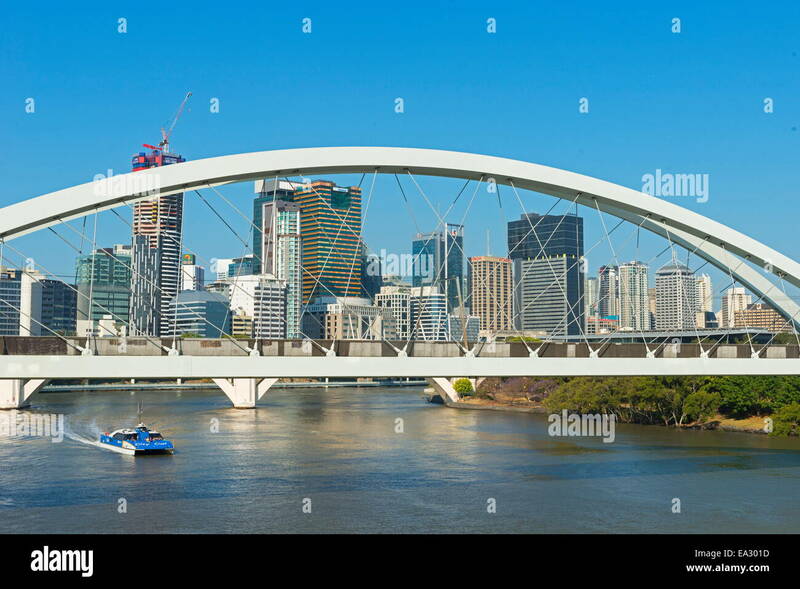 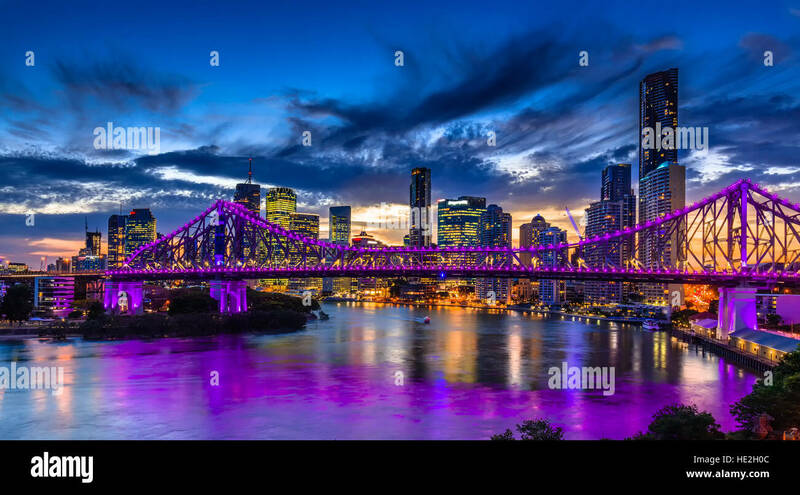 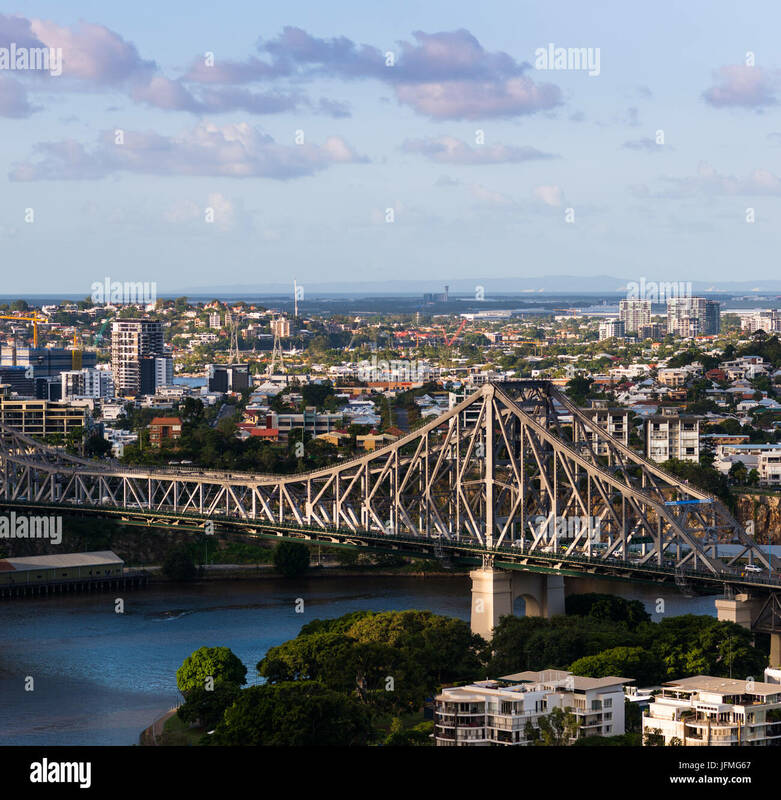 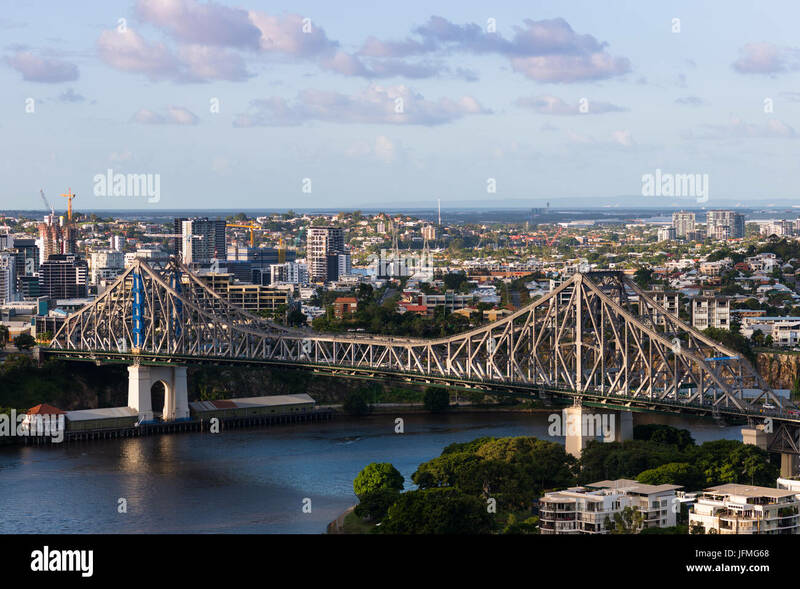 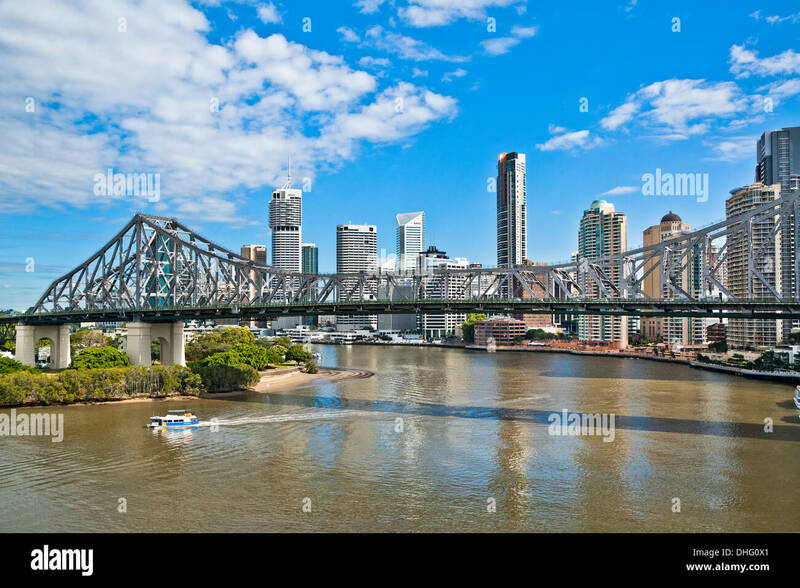 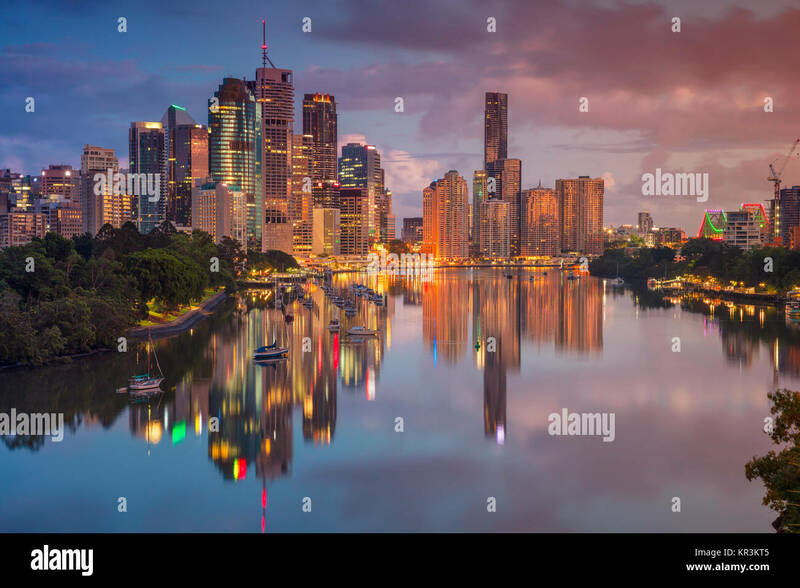 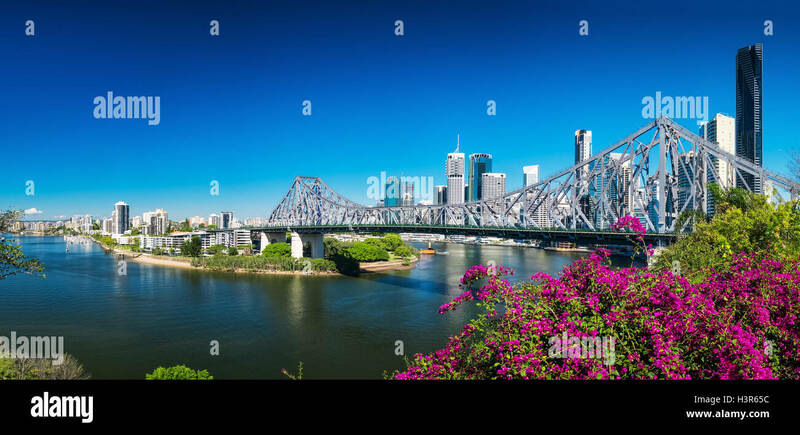 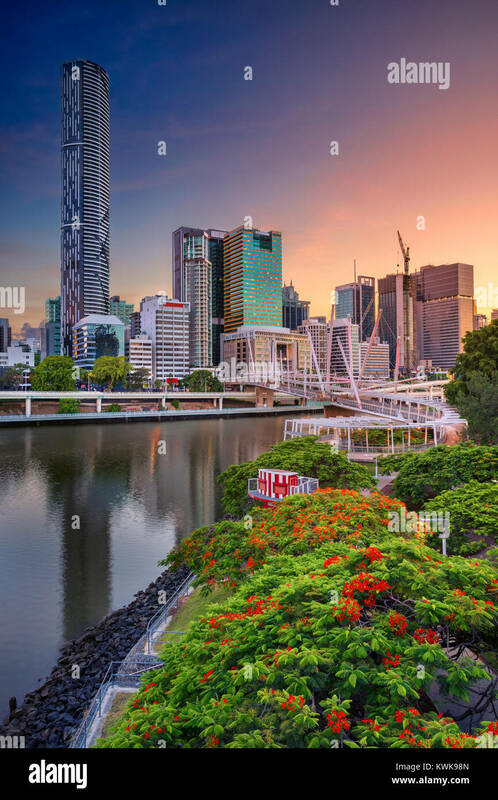 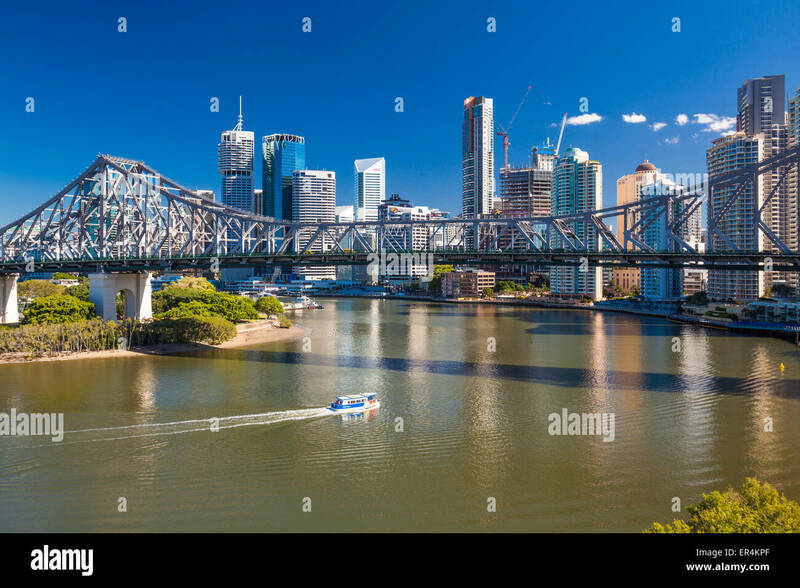 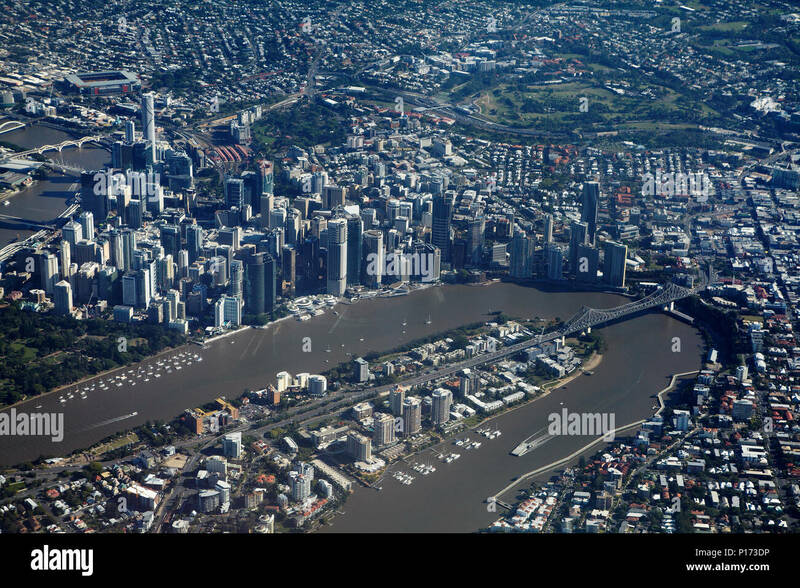 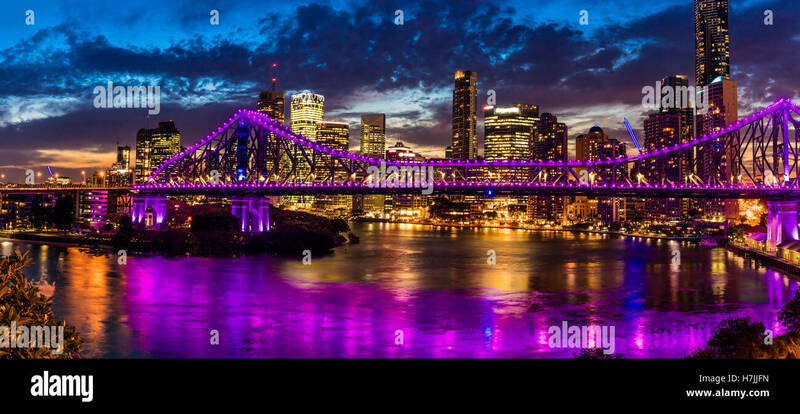 The Story Bridge spans the Brisbane river and skyline of Brisbane, Queensland, Australia. 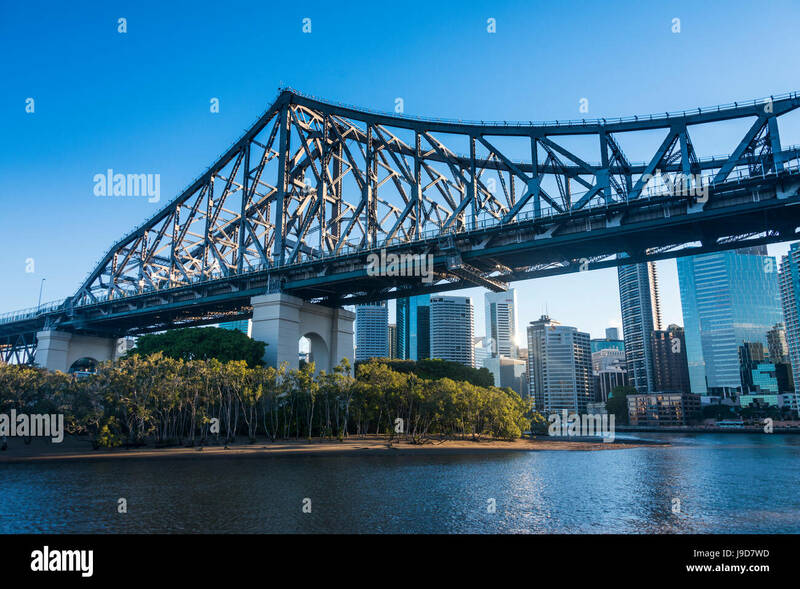 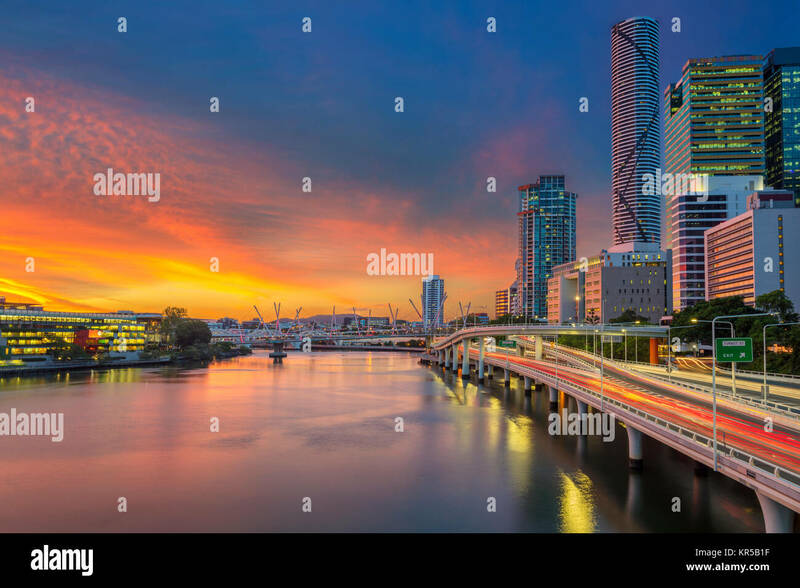 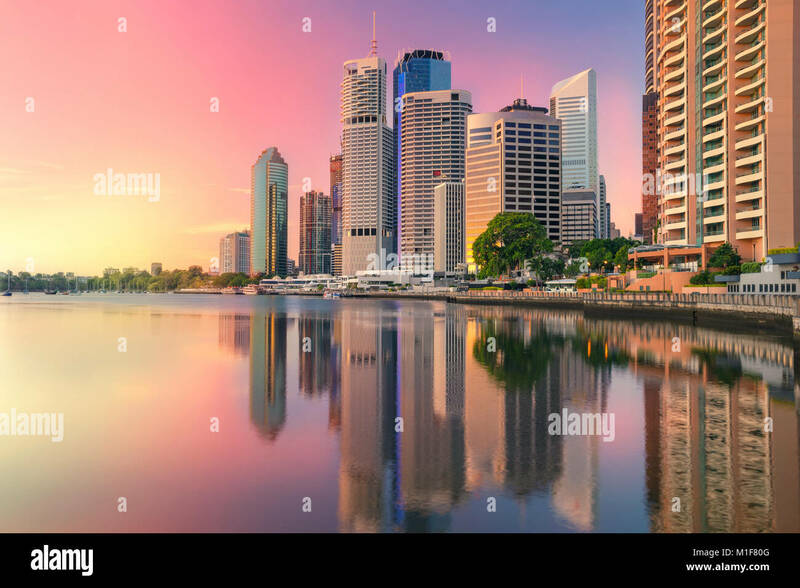 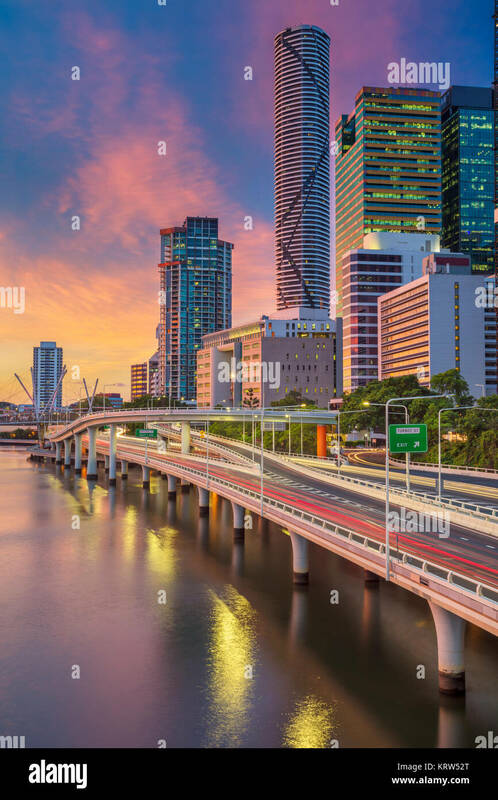 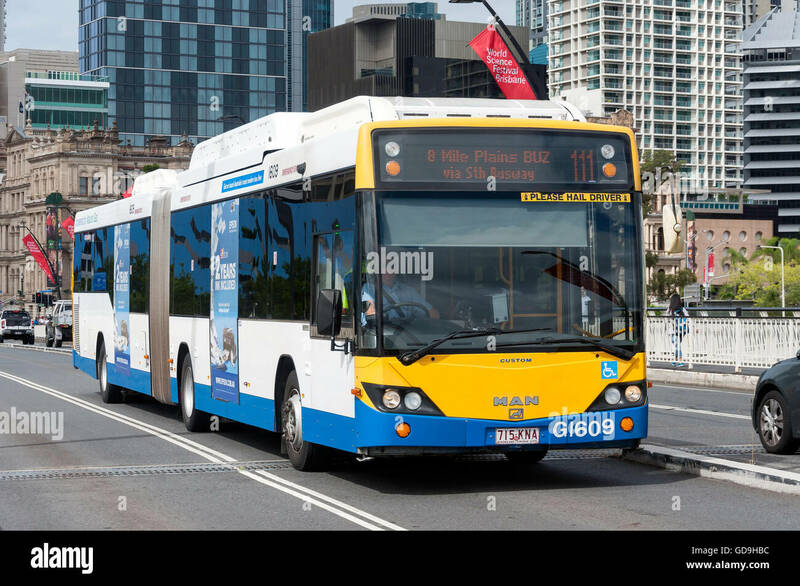 Story Bridge just after sunrise, Brisbane, Australia. 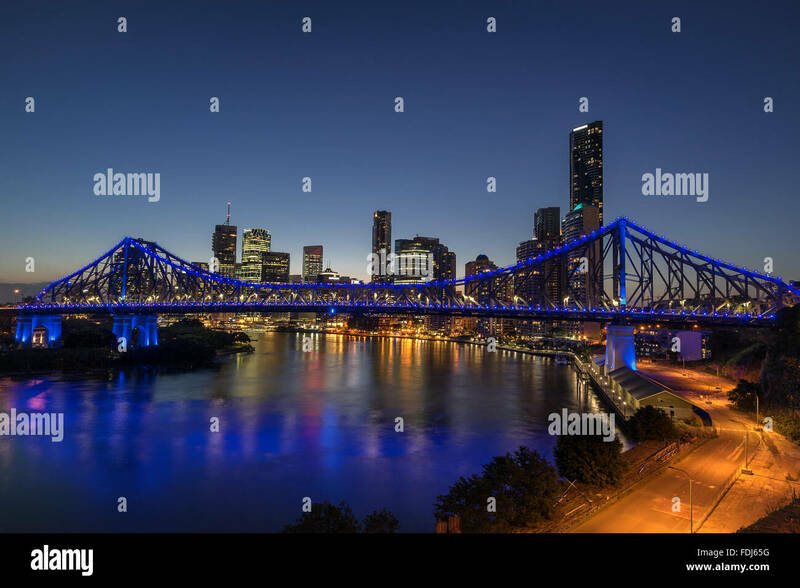 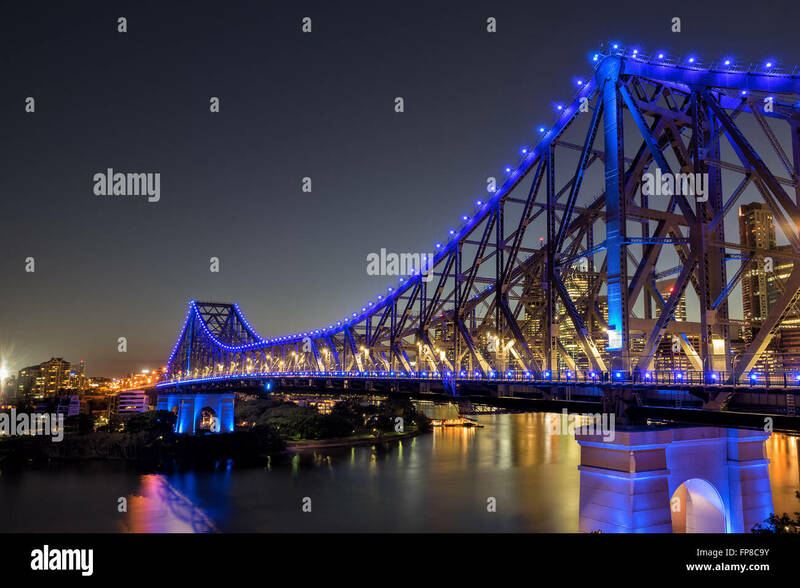 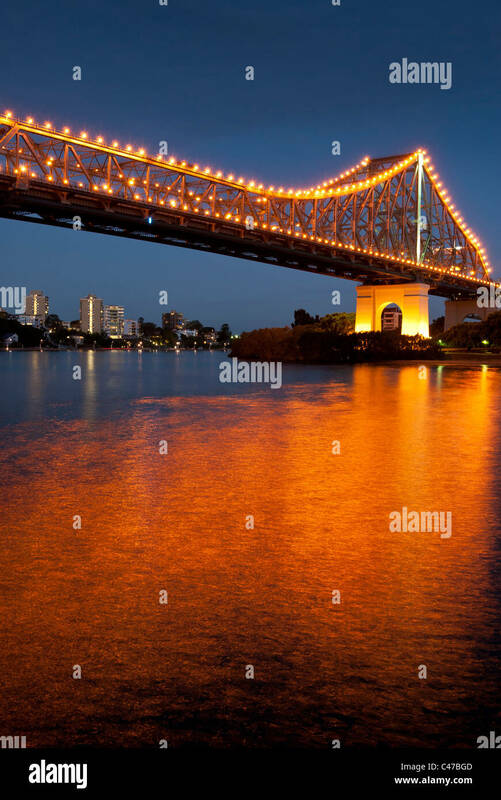 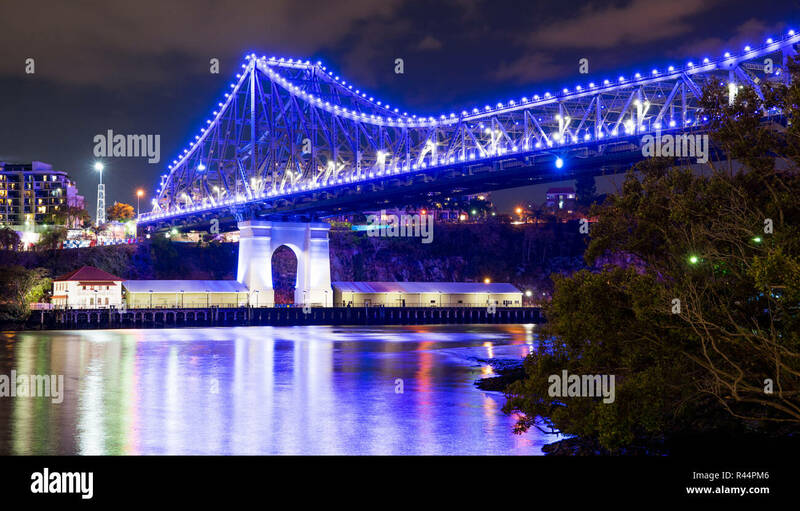 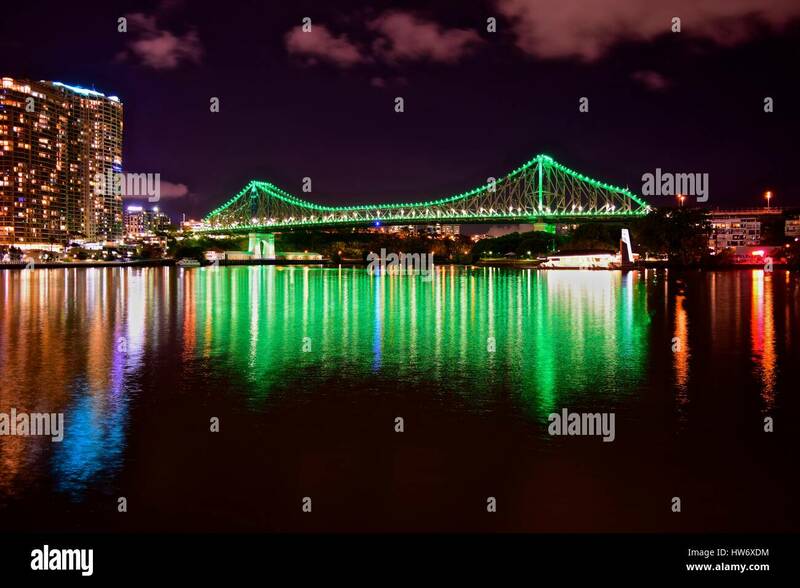 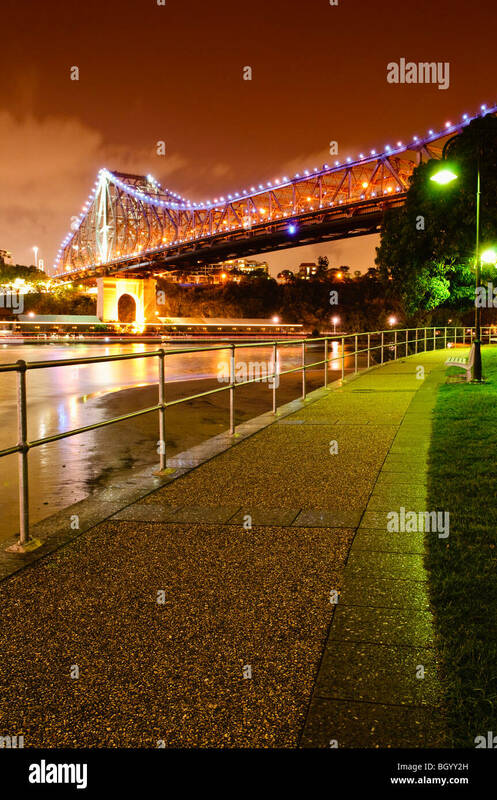 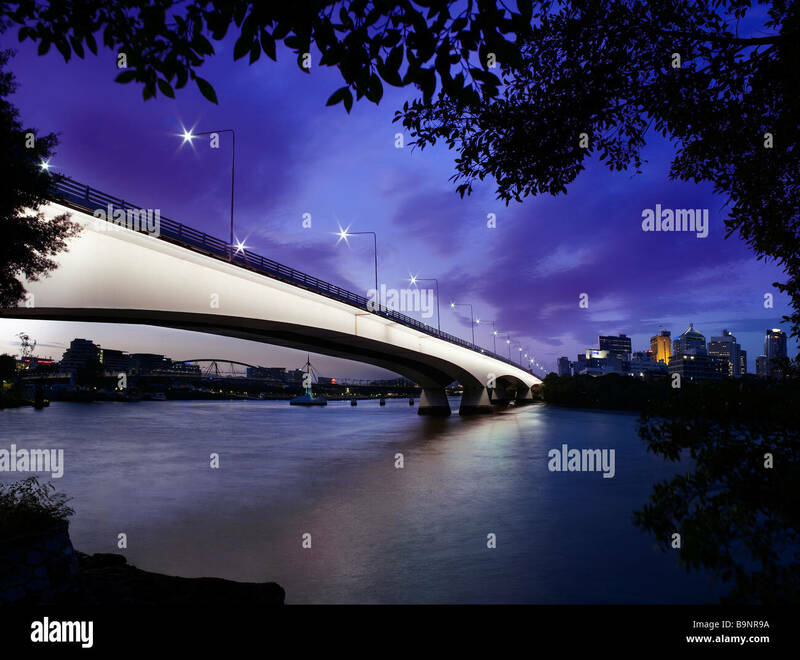 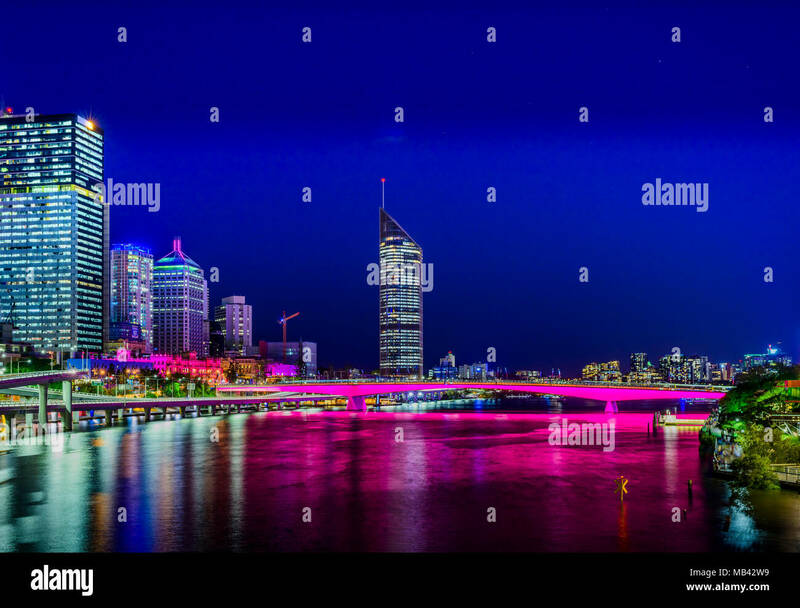 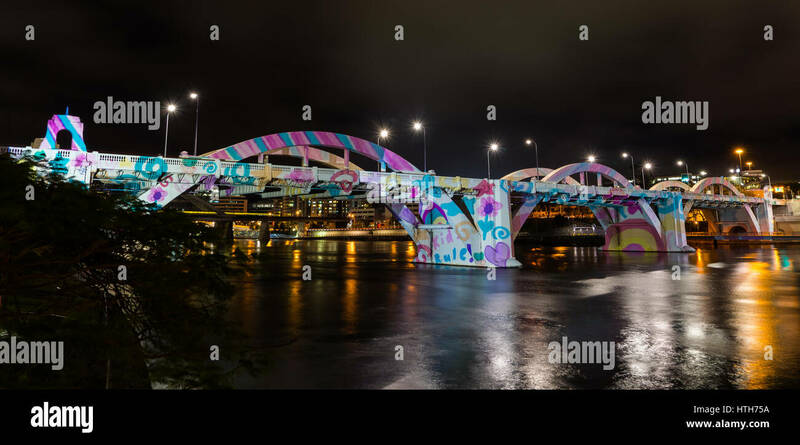 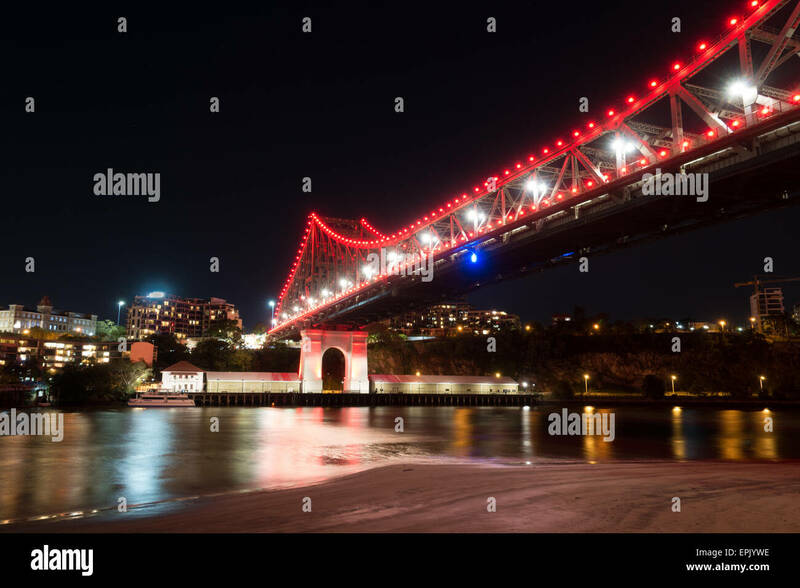 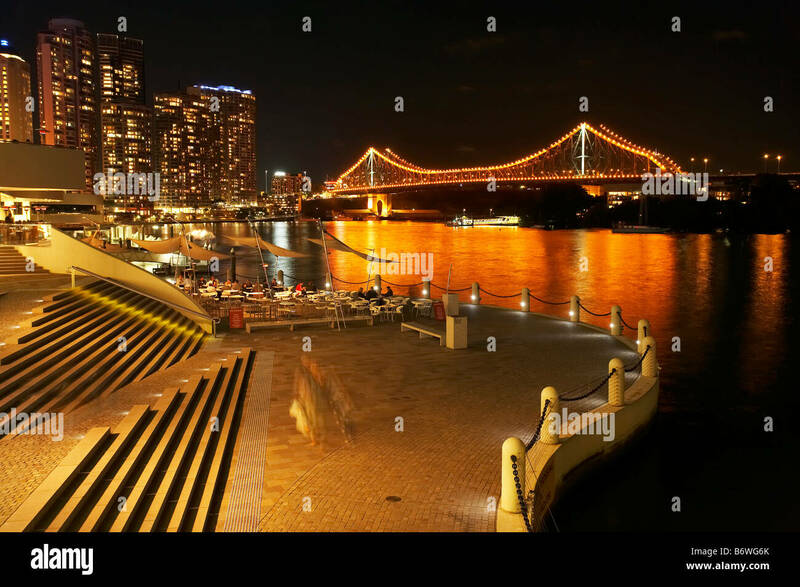 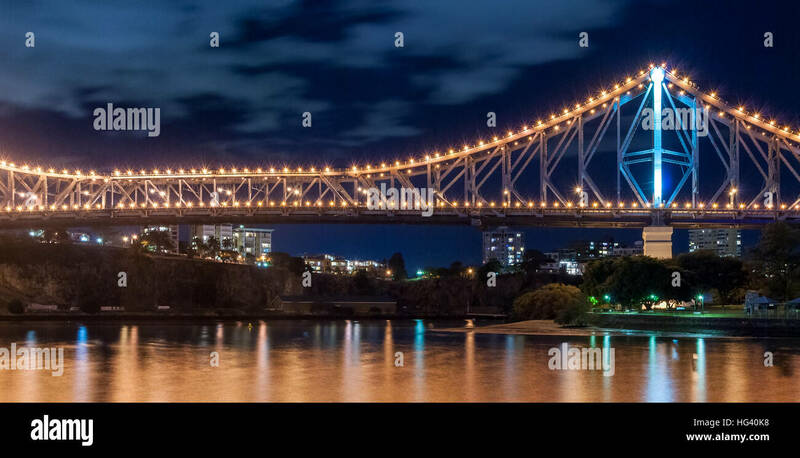 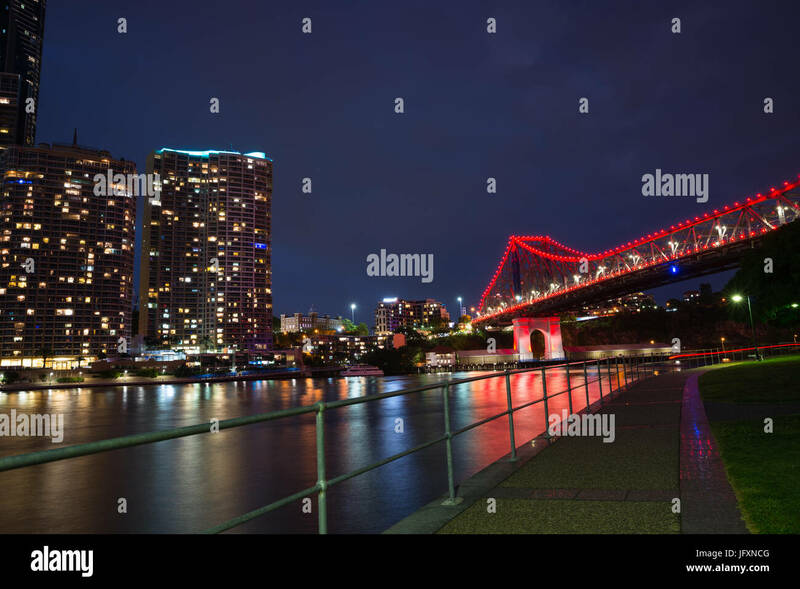 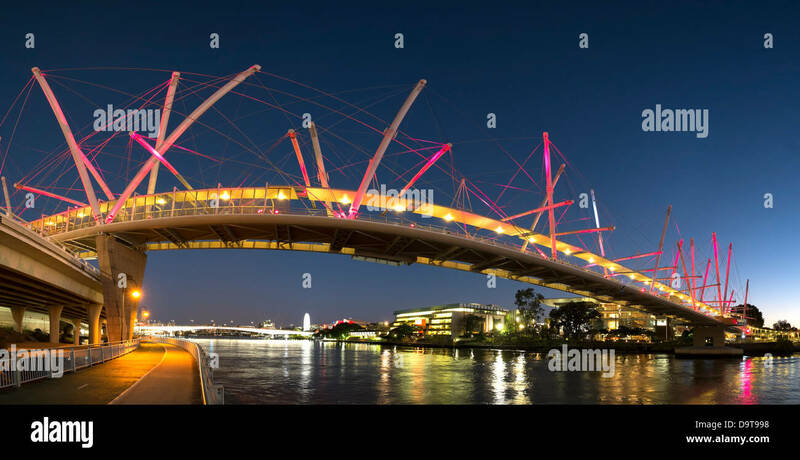 View of Story Bridge at night from across the Brisbane River. 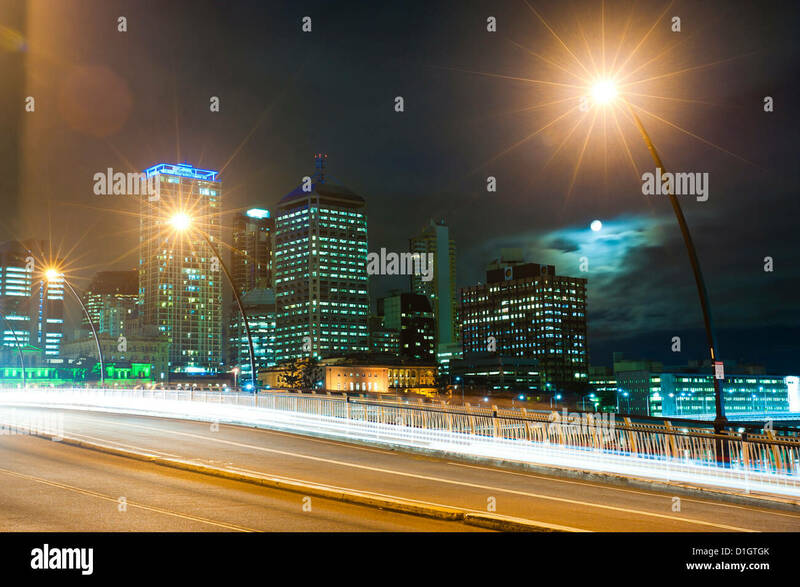 Photo captured using a long exposure. 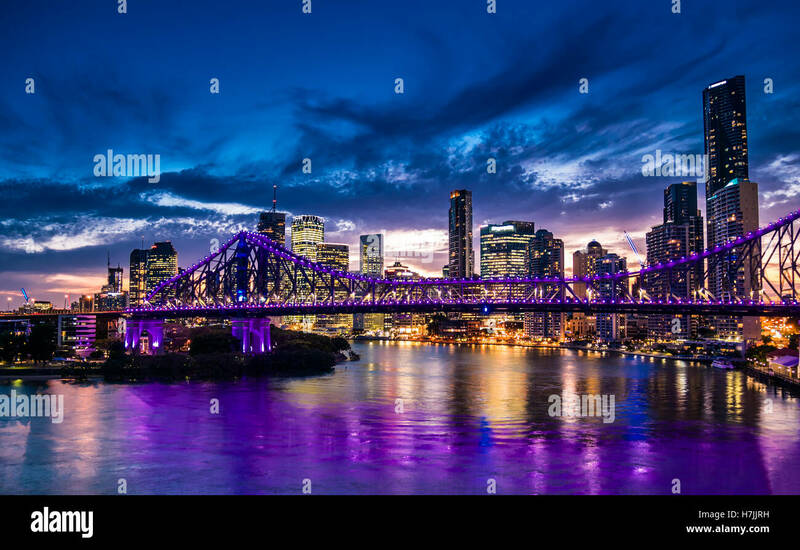 capturing the reflection of the city lights! 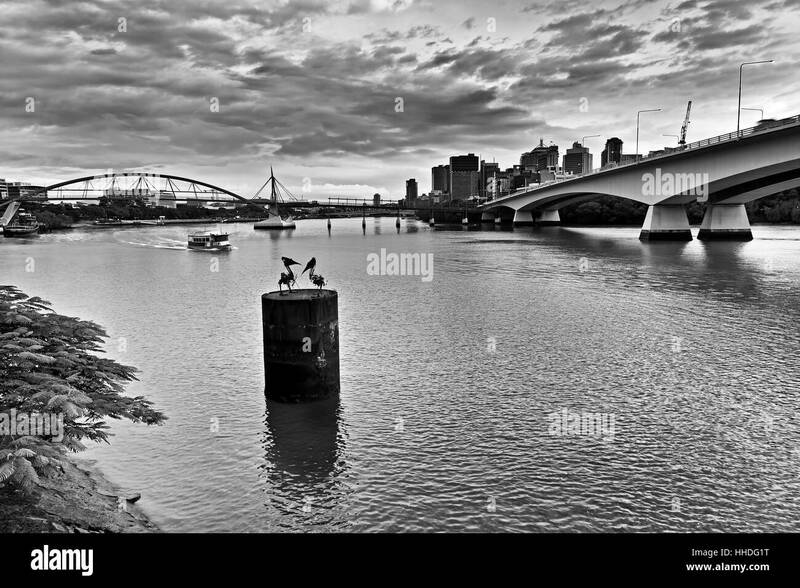 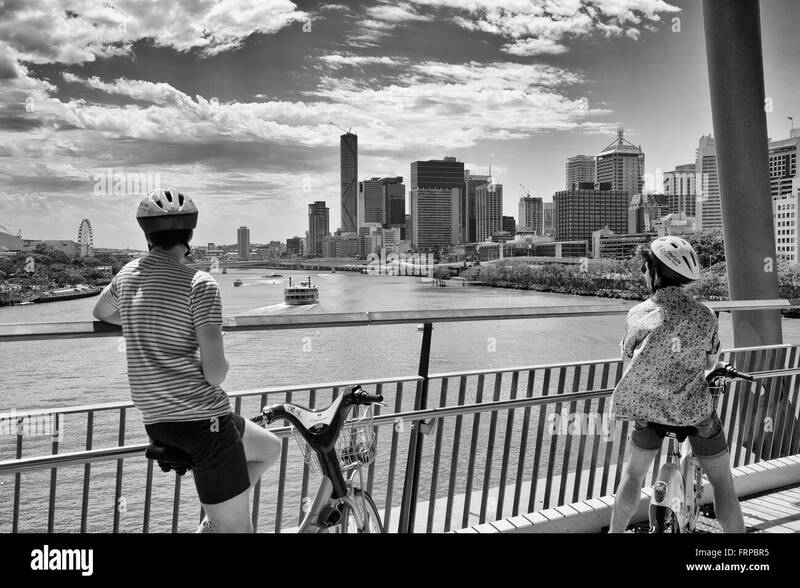 Brisbane city CBD across the river between Captain Cook's bridge and pedestrian bridge at sunrise in black-white. 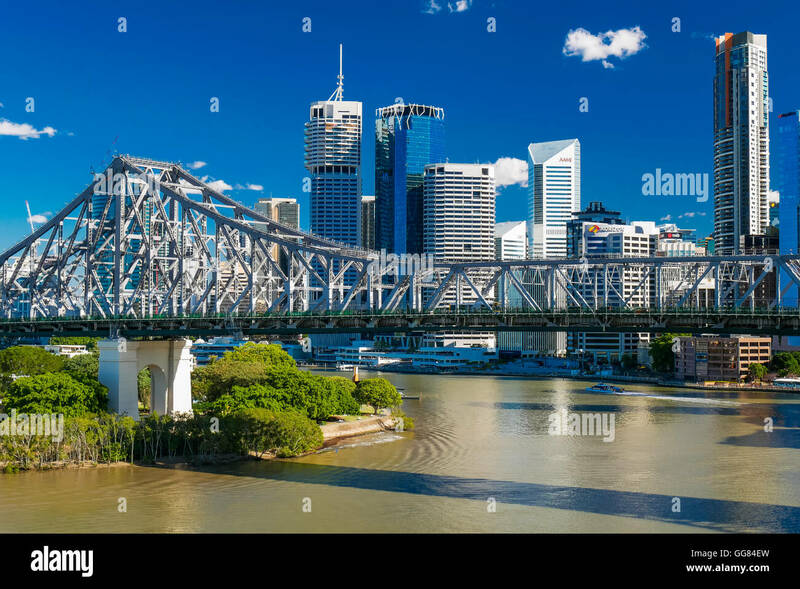 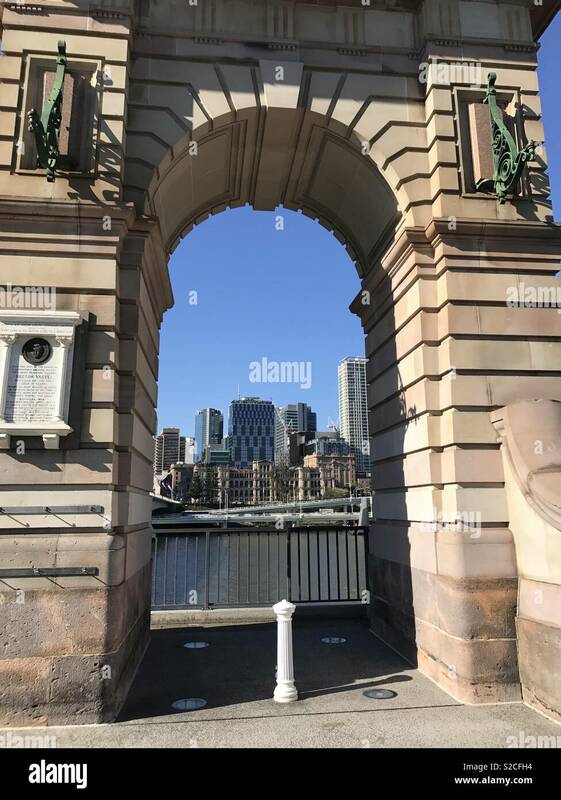 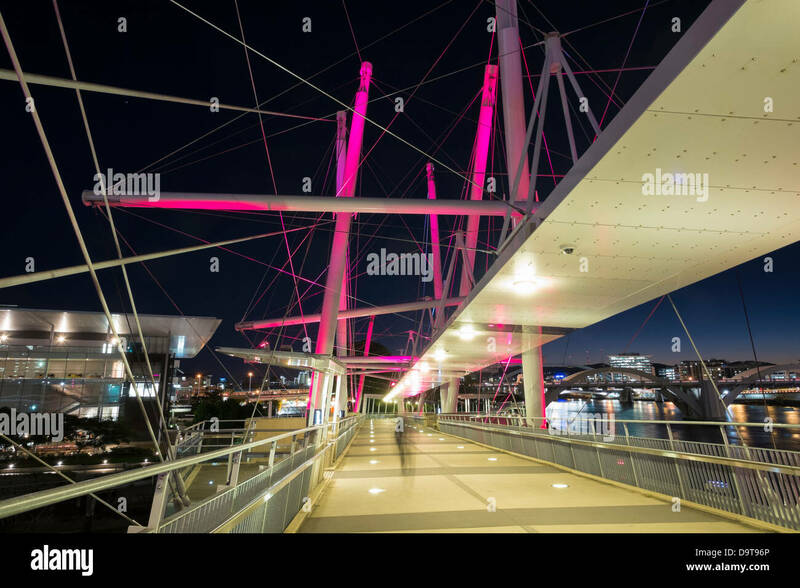 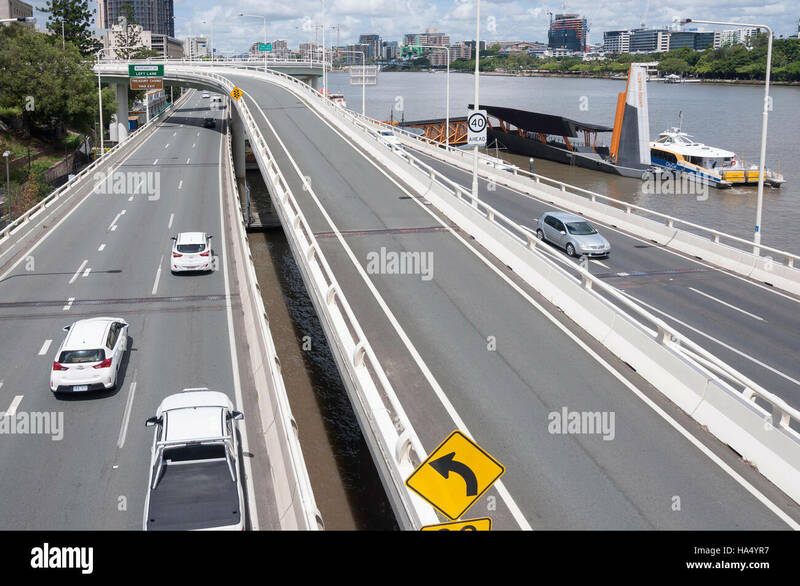 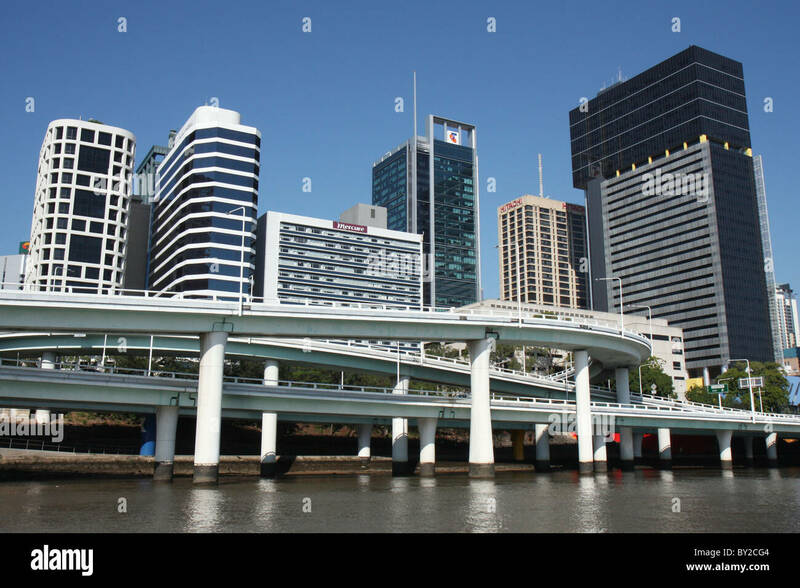 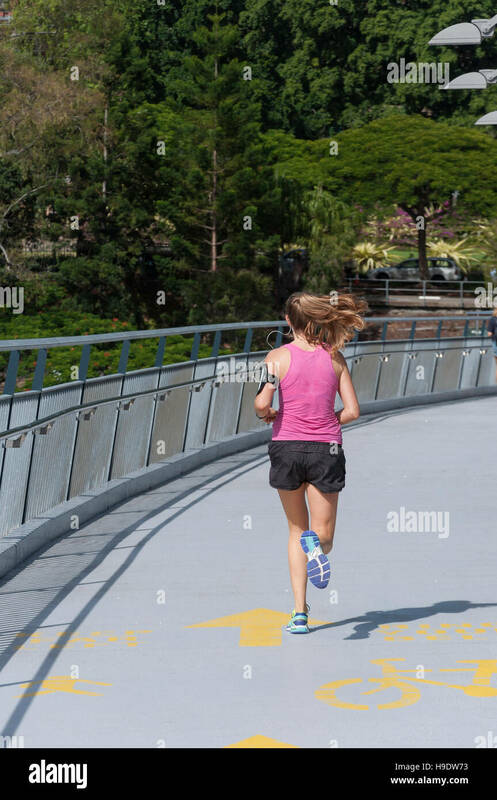 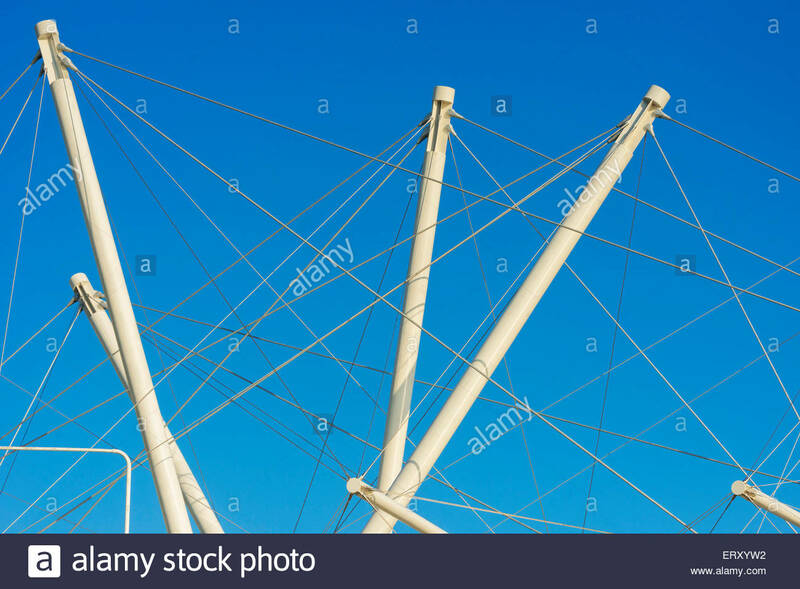 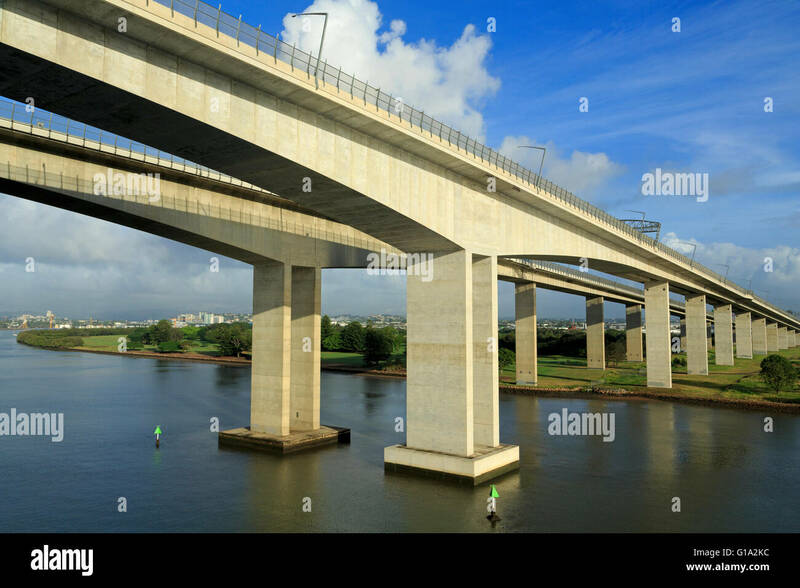 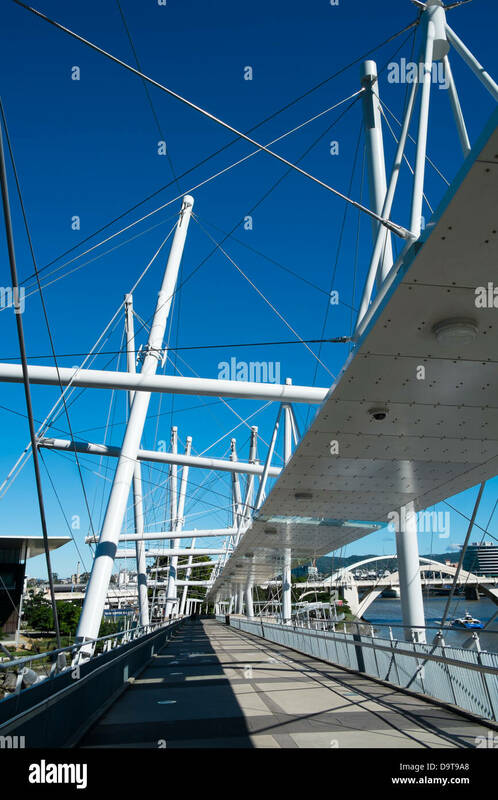 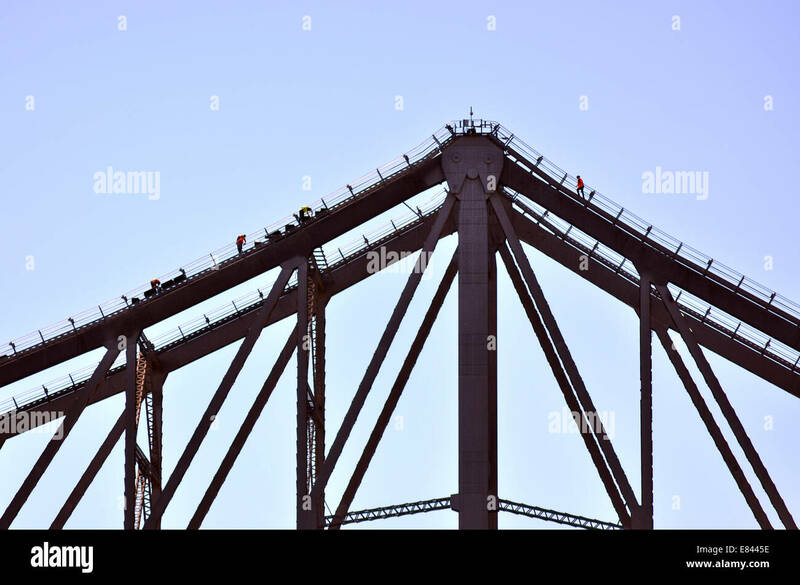 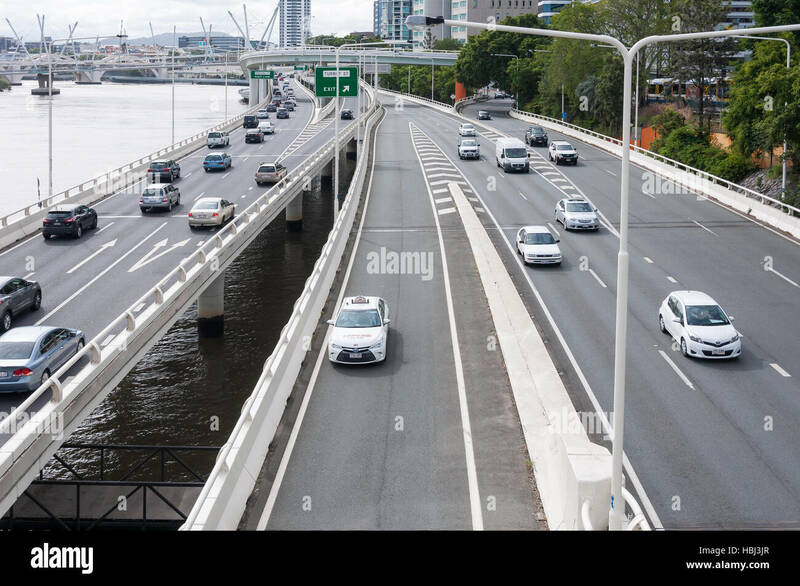 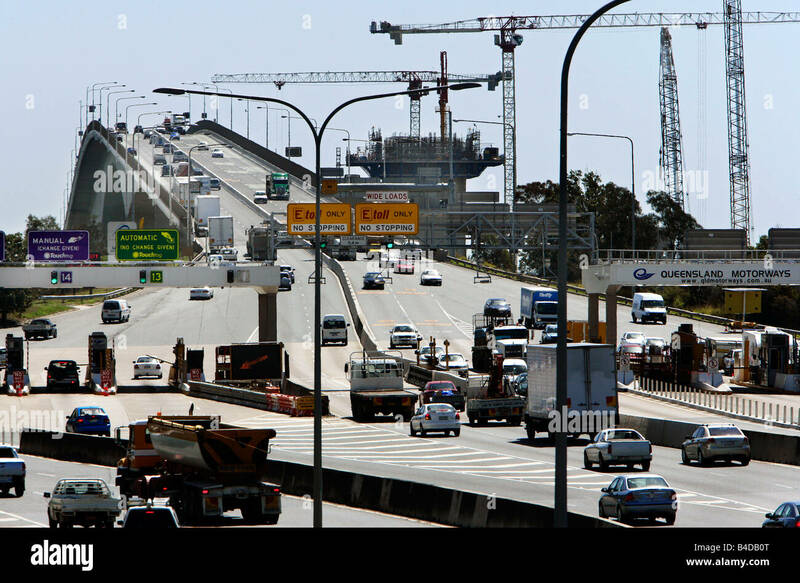 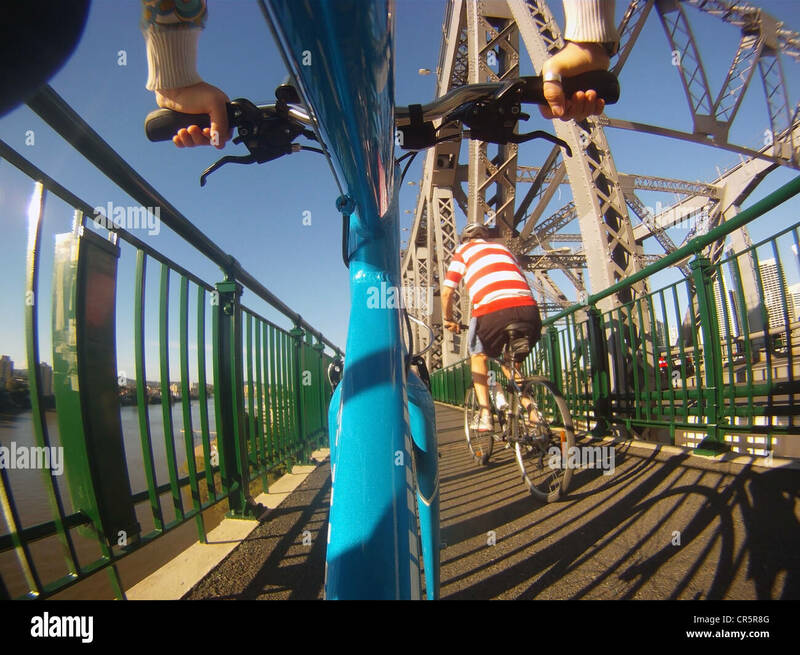 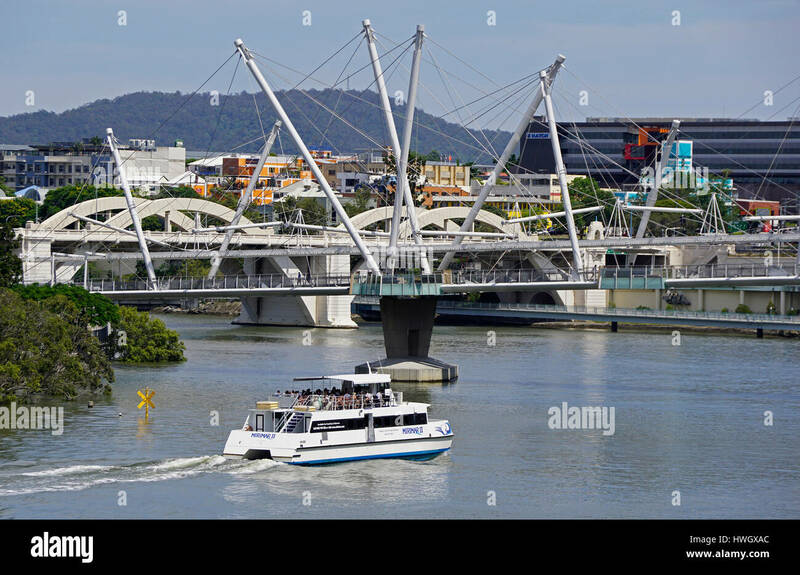 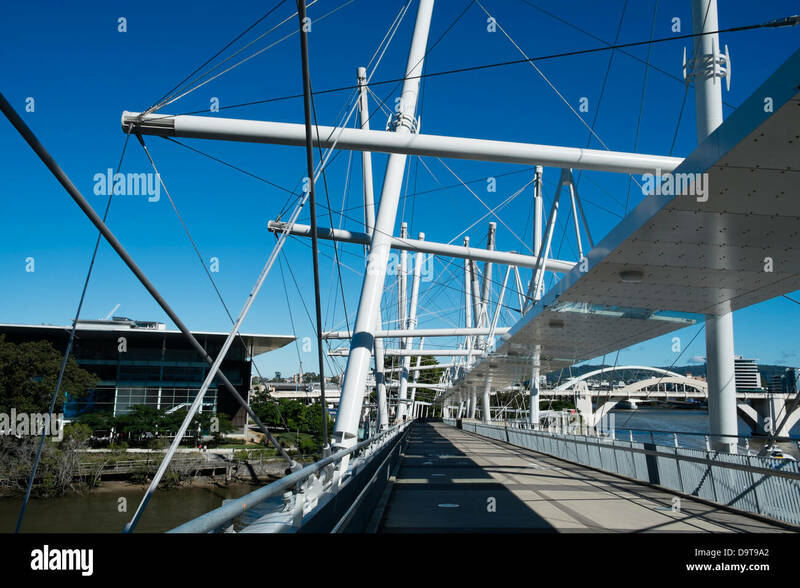 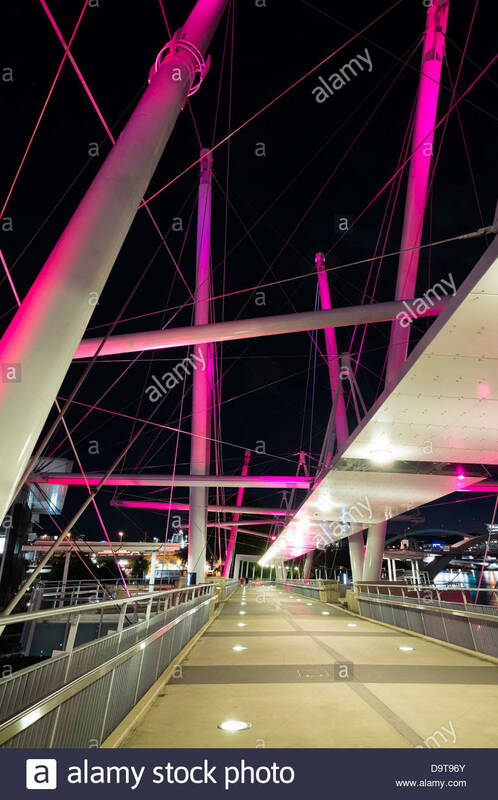 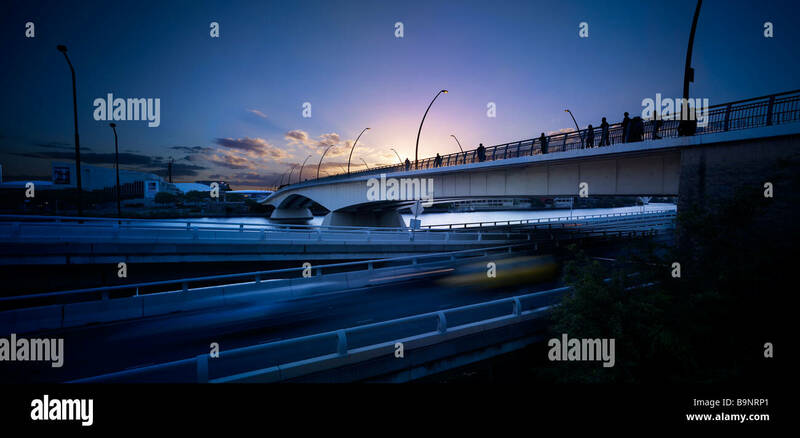 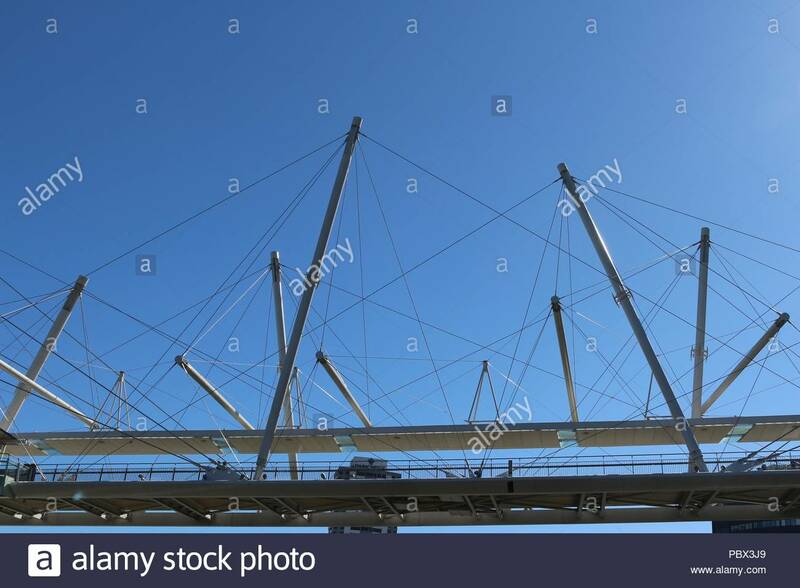 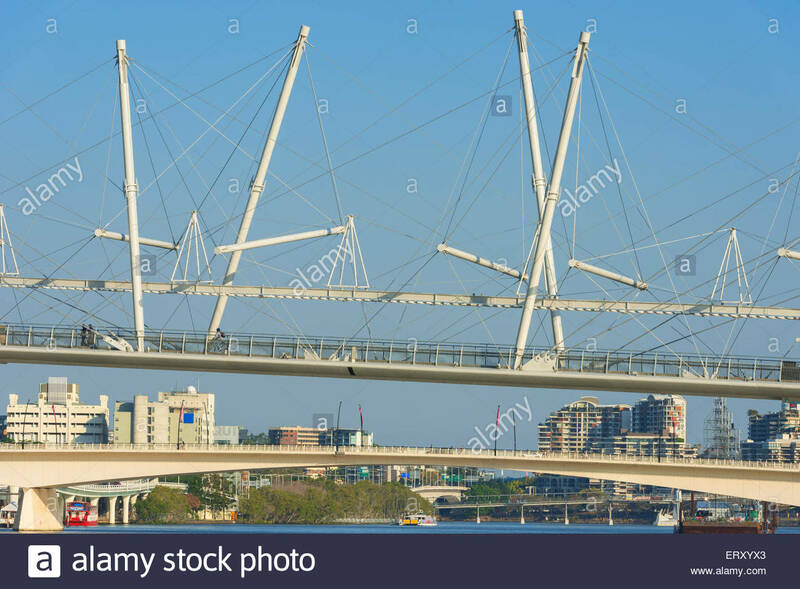 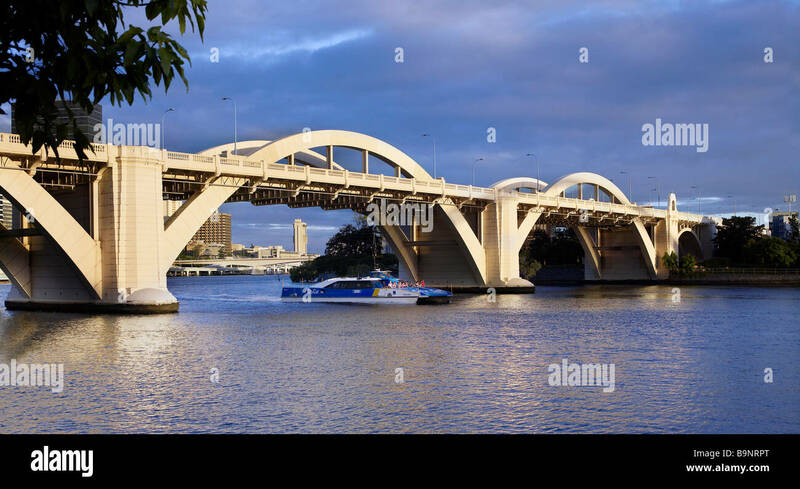 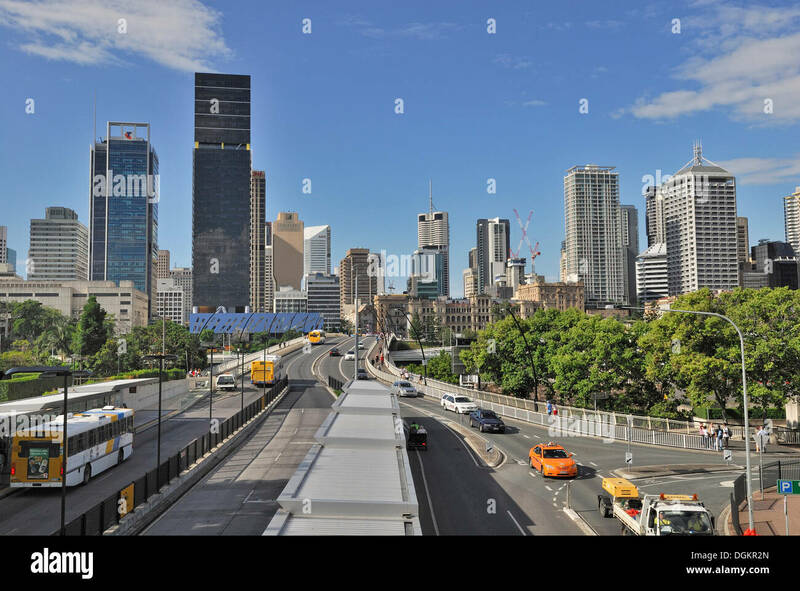 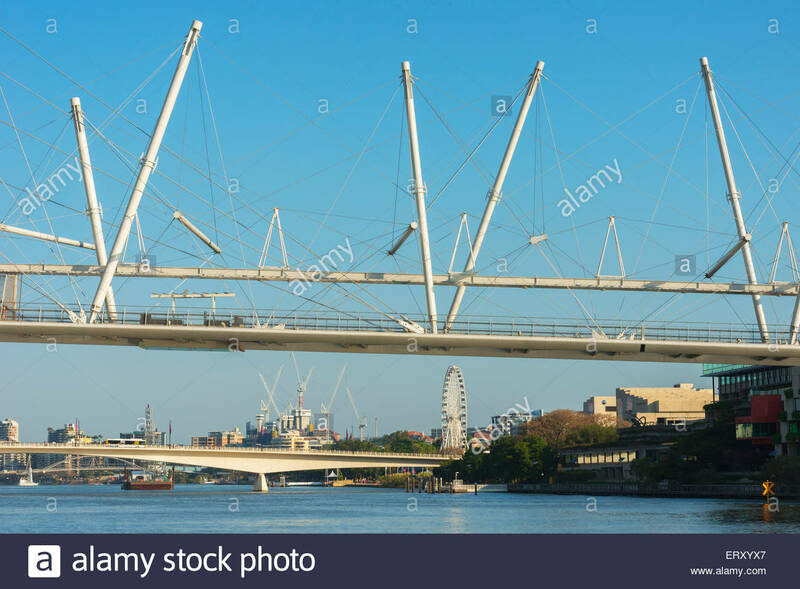 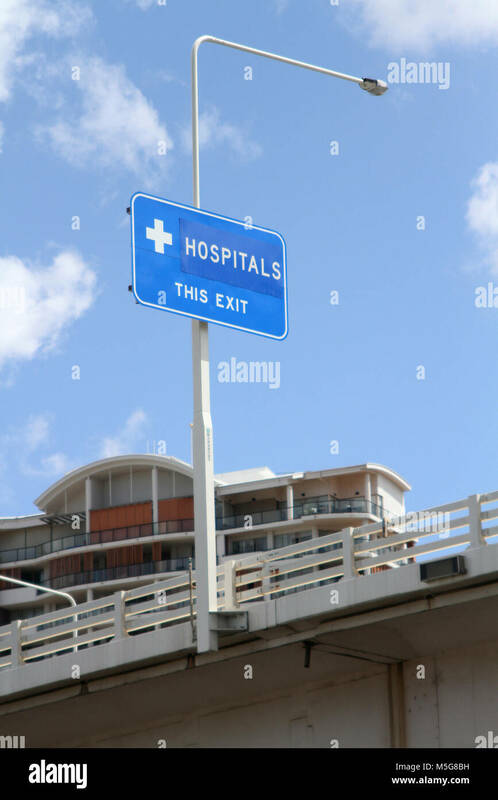 Harbor Bridge for pedestrians over Brisbane River, Brisbane, Queensland, Australia. 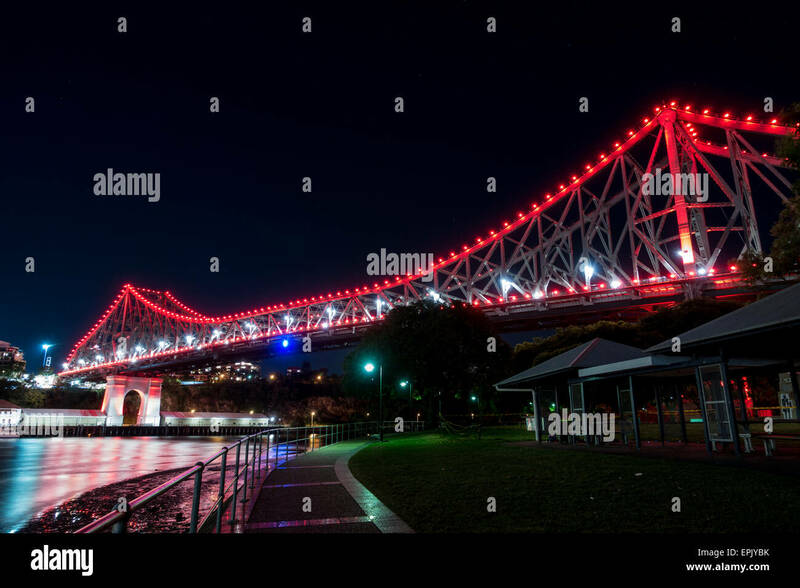 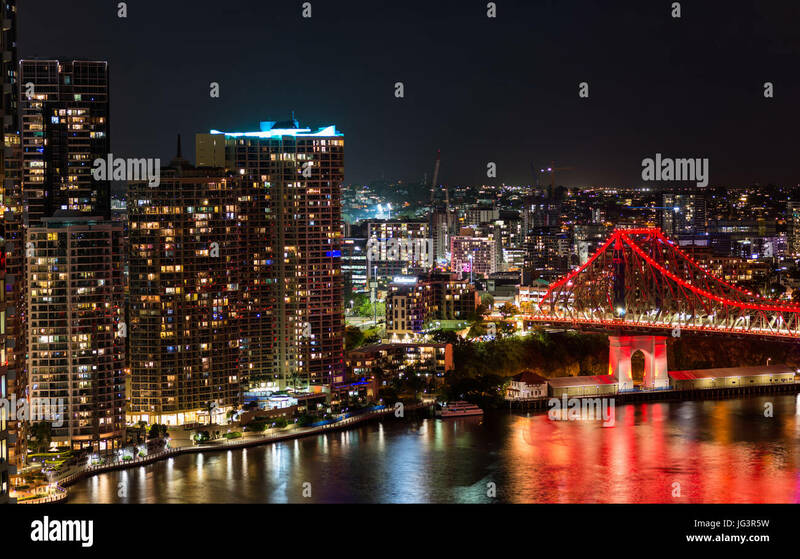 Brisbane Story Bridge in red over park.